Main city and country where your project took place. If it is a neighborhood project, please mention the area. Please describe your project’s positive economic, social and/or environmental impacts. We are looking to identify and recognize projects that have contributed to large-scale transformational change. 12,000-character limit. See the Guide to the Application for more. Replication and leverage are additional indicators of impact, demonstrating potential for scaling up. Please indicate if your project has been replicated in other geographies, what process led to that replication, and how this has contributed to economic, social and environmental impact. 4,000-character limit. See the Guide to the Application for more. Replication and leverage are additional indicators of impact, demonstrating potential for scaling up. Please indicate if your project has mobilized other resources (financial, human, technical), expanding the original scope of impact, what process led to this leverage, and the magnitude of additional leverage. 4,000-character limit. See the Guide to the Application for more. Please indicate the number of people that directly benefitted from this project (direct beneficiaries) as well as the number of people that have indirectly benefited (indirect beneficiaries) with a brief description of these groups served. We are seeking to identify projects that have built on dynamism and momentum to generate significant shifts that are able to be sustained over time. Many projects generate a large splash, but fail to deliver impact that endures over time. Please explain why the project impact is sustainable and will be sustained and/or amplified over time. 8,000-character limit. See the Guide to the Application for more. Has the project planning/implementation process provided opportunities for all types of stakeholders to engage and provide input? Has the project included mechanisms that further enable access to information and engagement with the project? Has the project used a collective decision-making approach? Explain why this project’s impact will be sustained over time. 4,000-character limit. See the Guide to the Application for more. Let us understand how your project evolved by naming main events and milestones in chronological order. 4,000-character limit. See the Guide to the Application for more. Include all organizations and the key individuals within the organization who have been responsible for conceptualizing, initiating and implementing the project. The names entered are considered as the project team and thus the recipients of the WRI Ross Prize in the event that the project wins. To select multiple files, hold CTRL (CMD) or SHIFT. 3. That the information I have submitted and will submit is true and correct in all respects. Thank you for your interest in the WRI Ross Prize for Cities. Please note we have extended our submission deadline from June 30 to July 31, 2018. You will receive a confirmation email within two business days of your submission if your application was received successfully. If you do not receive this email, please contact ross.prize@wri.org with the name of your project and the email of the project contact. Stephen M. Ross is the Chairman and Founder of Related Companies. Mr. Ross formed Related in 1972, and today the company includes over 2,500 professionals. Related has developed over $22 billion in real estate and owns real estate assets valued at over $15 billion made up of best-in-class mixed-use, residential, retail, office, trade show and affordable properties in premier high-barrier-to-entry markets. Mr. Ross is also the owner of the Miami Dolphins. Mr. Ross is Chairman of the Board of Directors of Equinox Holdings, Inc., serves on the Executive Committee and is a trustee of Lincoln Center and is a trustee of NewYork-Presbyterian Hospital, the Guggenheim Foundation. He also serves on the board of directors of the World Resources Institute and the Jackie Robinson Foundation and chairperson emeritus of the Real Estate Board of New York (REBNY), the city’s leading real estate trade association. Over the years, Mr. Ross has received numerous honors for his business, civic and philanthropic activities. Most recently, he was a New York Power Player by the New York Times, the Most Powerful Person in New York Real Estate by the New York Observer, Multi-Family Property Executive of the Year by Commercial Property News, and Housing Person of the Year by the National Housing Conference. He also received The National Building Museum Honor Award, REBNY’s Harry B. Helmsley Distinguished New Yorker Award and the Jack D. Weiler Award from UJA. Crain’s New York named Mr. Ross one of the 100 Most Influential Leaders in Business, and he was recognized by NYC & Company with their Leadership in Tourism Award. Mr. Ross graduated from the University of Michigan with a Bachelor of Business Administration degree, from Wayne State University Law School with a Juris Doctor degree, and from New York University School of Law with a Master of Laws in Taxation. In 2004, the University of Michigan renamed its business school the Stephen M. Ross School of Business at the University of Michigan, and in 2011 the University of Michigan awarded Mr. Ross an honorary degree, Doctor of Laws. Sir David Adjaye, OBE, is recognized as a leading architect of his generation. Born in Tanzania to Ghanaian parents, his broadly ranging influences, ingenious use of materials and sculptural ability have established him as an architect with an artist’s sensibility and vision. In 2000, he founded Adjaye Associates, which now has offices in London, New York and Accra with projects in the United States, UK, Europe, Africa, Asia and Middle East. His largest project to date, the $540-million Smithsonian Institution National Museum of African American History and Culture, opened on the National Mall in Washington, D.C., in the fall of 2016. The museum was named the Cultural Event of the Year by The New York Times and the Beazley Design of the Year by the Design Museum. Other prominent completed projects include the Idea Stores in London, which were credited with pioneering a new approach to library services (2005); the Moscow School of Management SKOLKOVO (2010); and the Sugar Hill mixed-use social housing scheme in Harlem, New York (2015). Ongoing projects include a new home for the Studio Museum in Harlem, New York, the recently announced National Cathedral of Ghana in Accra, and the National Holocaust Memorial and Learning Centre in London. 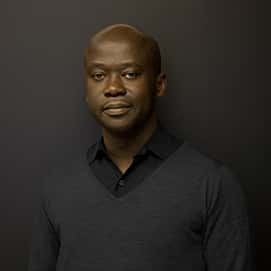 Adjaye has amassed numerous accolades for his visionary work, including artist of the year by Design Miami/ in 2011, The Wall Street Journal Innovator Award in 2013, and the 2016 Panerai London Design Medal from the London Design Festival. In 2017, Adjaye received a knighthood from Queen Elizabeth II for services to architecture and was recognized as one of the 100 most influential people of the year by Time magazine. 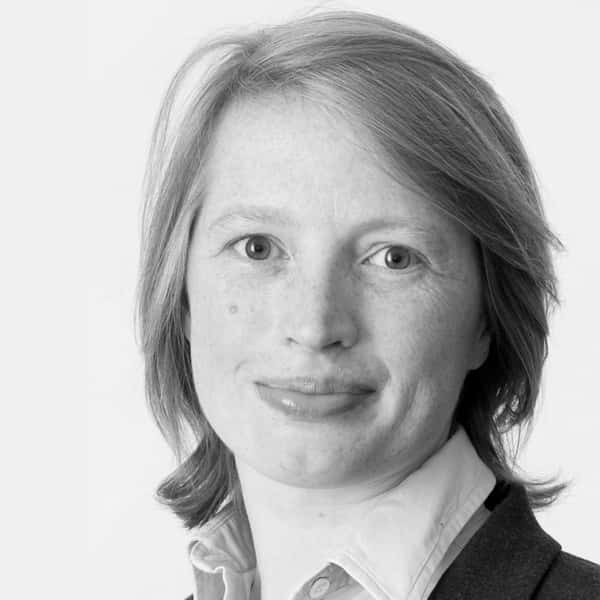 Jean joined DiDi in July 2014 from her previous position as managing director of Goldman Sachs (Asia). 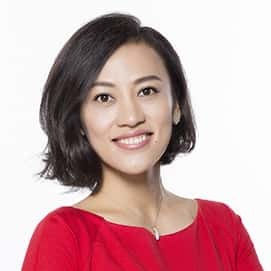 Working with Cheng Wei, founder and CEO of DiDi, Jean led DiDi to become the world’s leading mobile transportation platform. DiDi is committed to collaborating with communities and partners to solve the world’s transportation, environmental and employment challenges through technology innovation. It launched extensive public-private partnerships with cities on smart transportation and sustainability initiatives. DiDi is also expanding across Asia and Latin America, and forming partnerships with other international ridesharing leaders to build an open and efficient transportation ecosystem. Jean’s achievements have been recognized through numerous international awards, including The 100 Most influential People (Time, 2017), The World’s Most Powerful Women (Fortune, 2017), Asia Game Changer (Asia Society, 2017), Women of the Year (Financial Times, 2016) and The World’s Most Creative People in Business (Fast Company, 2016). Jean is a member of the Harvard Graduate School of Arts and Sciences Alumni Association Council, and a member of the Board of Directors of ONE Foundation. She earned her B.A. from Peking University and her M.S. from Harvard University, both in computer science. 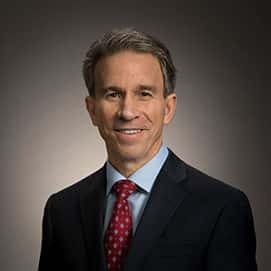 Jim Umpleby Chief Executive Officer and Member of the Board of Directors, Caterpillar Inc.
Jim Umpleby is chief executive officer and a member of the board of directors of Caterpillar Inc.
Jim joined Solar Turbines, now a Caterpillar subsidiary, in 1980 as an associate engineer. During his career at Caterpillar, he has held a variety of positions in engineering, manufacturing, marketing, sales and services. Jim became president of Solar Turbines and a Caterpillar vice president in 2010; from 2013 to 2016 he led Caterpillar’s Energy & Transportation business segment as group president. As CEO, Jim is leading the company’s execution of a new enterprise strategy to achieve profitable growth. The strategy is based on operational excellence and making Caterpillar’s customers more successful by providing expanded offerings of products and services. Jim graduated from the Rose-Hulman Institute of Technology with a Bachelor of Science degree in mechanical engineering. He has completed an executive leadership program at the International Institute for Management Development in Lausanne, Switzerland. Jim serves on Rose-Hulman's board of trustees, on the board of directors of the Chevron Corporation and the U.S.-India Strategic Partnership Forum. He is also a member of the Latin America Conservation Council and the Business Roundtable. 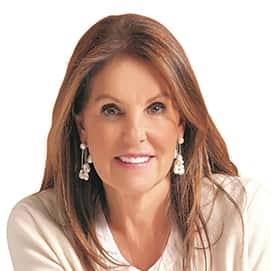 Marinela is president of Sietecolores: Interactive Ideas. She is an expert in developing and operating interactive and public spaces, the leader of several social and environmental projects, and a renowned adviser for fundraising drives with 36 years of experience in philanthropy, fundraising and promoting quality education. Marinela served as the executive director of Papalote Museo del Niño until 2011, and worked in Mexico City’s local government and the Ministry of Education in various administrative departments. She also served as president of the Chapultepec Trust Foundation, and continues as a member of the Council. 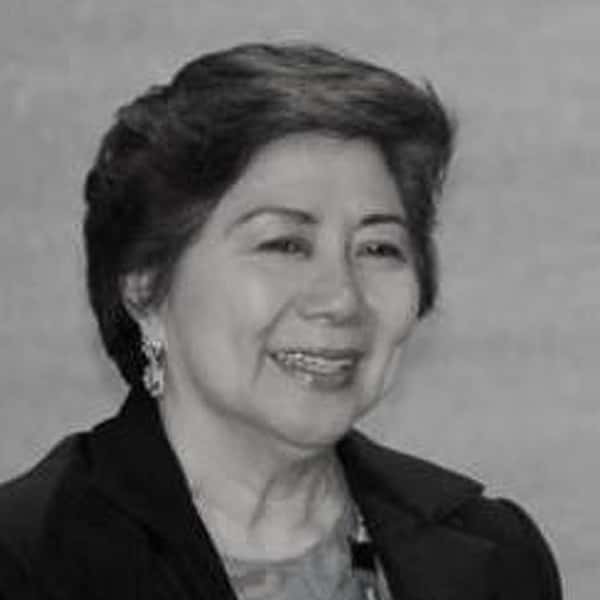 She led the recovery of the Azcapotzalco refinery to create the 55-hecatre Bicentennial Park. She holds a B.A. in sociology from the Universidad Iberoamericana and a M.A. in international development education from Stanford University. 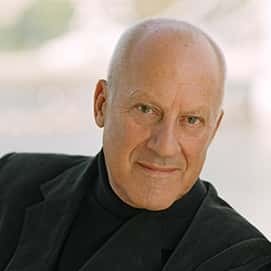 Lord Norman Foster is the founder and executive chairman of Foster + Partners, a global studio for architecture, urbanism and design, rooted in sustainability. His projects include the Reichstag in Berlin, the Great Court of the British Museum, the Museum of Fine Arts in Boston, airports in Hong Kong and Beijing and headquarters buildings for Hearst (New York), Apple (Cupertino), Bloomberg (London), Comcast (Philadelphia), and the Hong Kong and Shanghai Bank (Hong Kong). Current research projects, in association with The European Space Agency and NASA, are exploring solutions for the creation of habitations on the Moon and Mars. 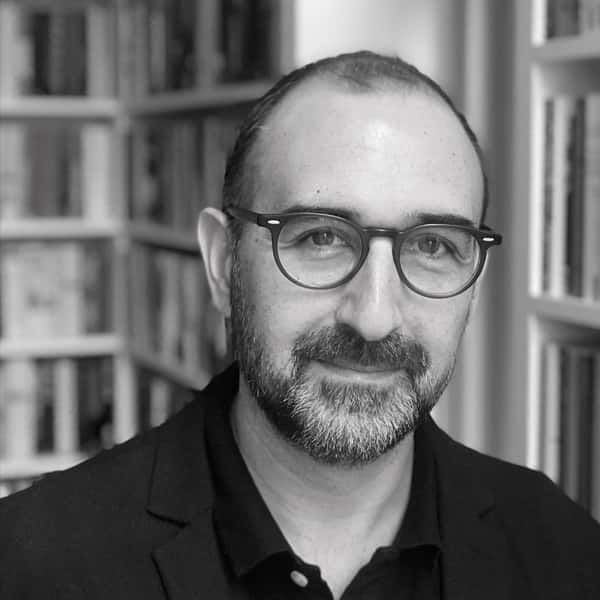 He is president of the Norman Foster Foundation, based in Madrid with a global reach, promoting interdisciplinary thinking and research to help new generations of architects, designers and urbanists anticipate the future. 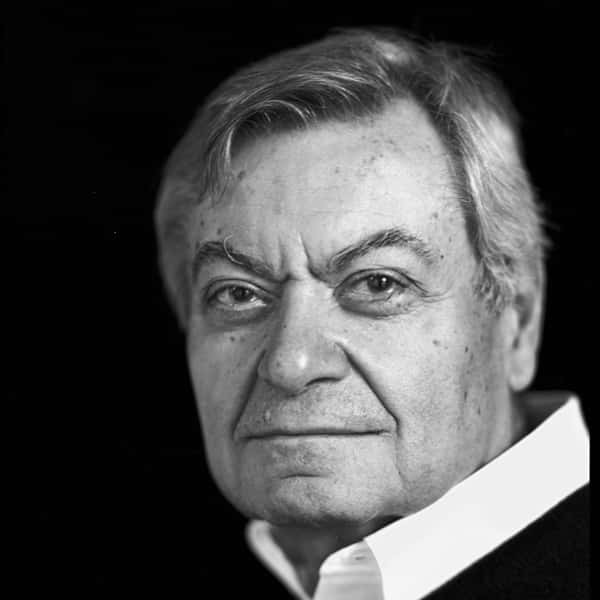 He became the 21st Pritzker Architecture Prize Laureate in 1999. In 1997, he was appointed to the Order of Merit and in 1999 was granted a Life Peerage in the Queen's Birthday Honours List, taking the title of Lord Foster of Thames Bank. His passions include cross-country skiing, cycling and aviation. 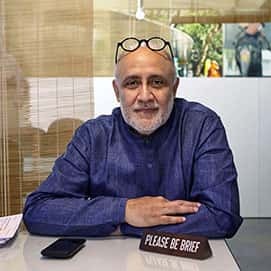 Rahul Mehrotra is a practicing architect, urban designer and educator. 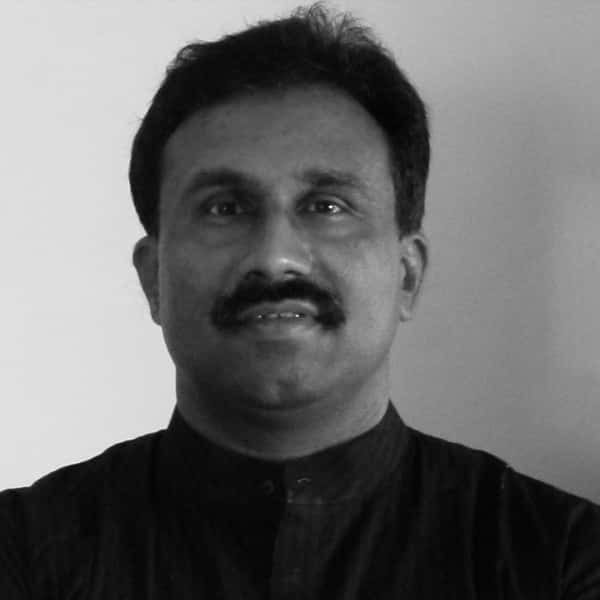 His firm, RMA Architects, was founded in 1990 in Mumbai and has designed and executed projects for clients that include government and nongovernmental agencies, corporate, as well as private individuals and institutions. The firm has also initiated several unsolicited projects driven by the firm’s commitment to advocacy in the city of Mumbai. 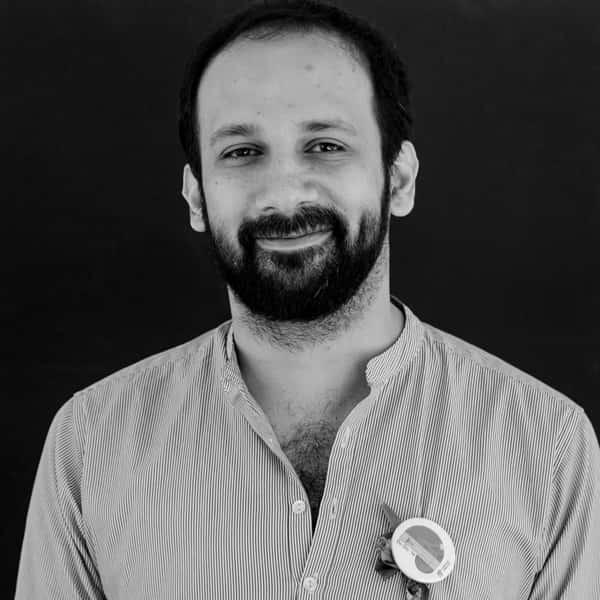 Mehrotra is a professor of urban design and planning at the Harvard Graduate School of Design (GSD) and has written and lectured extensively on architecture, conservation, and urban planning in Mumbai and India. His writings include coauthoring "Bombay – The Cities Within," "Banganga – Sacred Tank," "Public Places Bombay," and "Bombay to Mumbai – Changing Perspectives." He has also co-authored "Conserving an Image Center—The Fort Precinct in Bombay." Based on this study and its recommendations, the historic fort area in Mumbai was declared a conservation precinct in 1995, the first such designation in India. His recent books are "Architecture in India Since 1990" and "The Kumbh Mela – Mapping the Ephemeral Mega City." In 2016 he co-curated an exhibition, "The State of Architecture – Practices and Processes in India," which showed at the National Gallery of Modern Art in Mumbai. 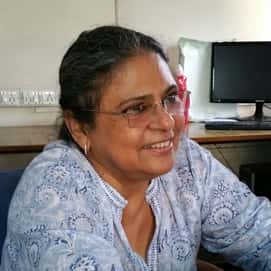 Sheela Patel is the founder and director of the Society for the Promotion of Area Resource Centers (SPARC), an NGO that has been working since 1984 to support community organizations of the urban poor in their efforts to access secure housing and basic amenities and seek their right to the city. Patel is widely recognized – nationally and internationally – for seeking urgent attention to the issues of urban poverty, housing, and infrastructure on the radar of governments, bilateral and international agencies, foundations, and other organizations. She is a founder, amongst many, of Slum Dwellers International, a transnational social movement of the urban poor, whose board she chairs presently. Steve Strongin is head of Global Investment Research at Goldman Sachs. He is a member of the Management Committee, Firmwide Client and Business Standards Committee, and Firmwide Reputational Risk Committee. Steve is also co-chair of the Firmwide Technology Risk Committee. 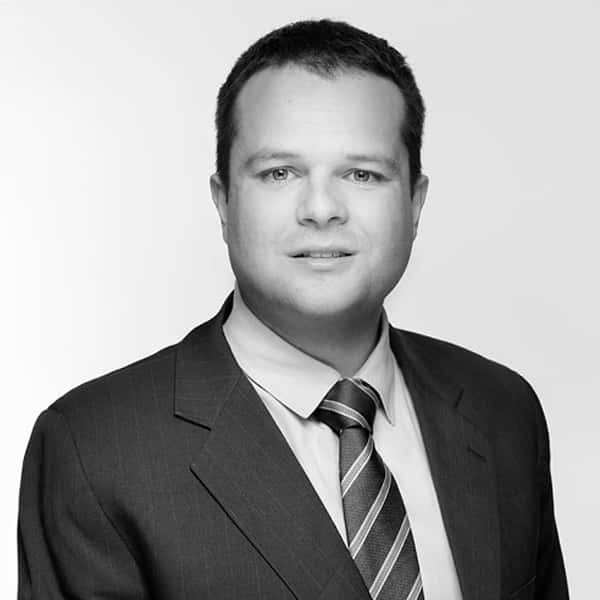 He previously served as global head of strategy research and co-chief operating officer of Global Investment Research, as well as global head of commodities research. Steve joined Goldman Sachs in 1994 and was named managing director in 1998 and partner in 2002. Prior to joining the firm, Steve spent 12 years at the Federal Reserve Bank of Chicago, most recently as the director of monetary policy research. Previously, he was an economist at the Center for the Study of Economy and State at the University of Chicago and a researcher at PanHeuristics, a think tank focused on military strategy and energy policy. Steve serves as a director on the boards of Ocean Conservancy and New York City’s Fund for Public Schools. 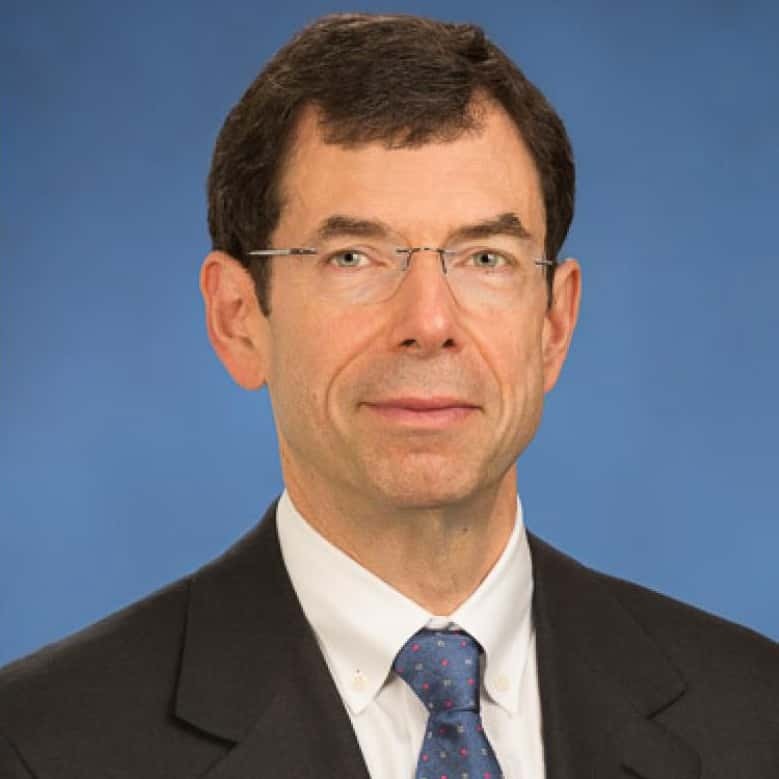 In addition, he is a member of the Visiting Committee to the College at the University of Chicago and the Advisory Board to the RAND Center for Corporate Ethics and Governance. Steve earned undergraduate and graduate degrees in economics from the University of Chicago and a graduate degree in management from Northwestern University’s Kellogg School of Management. 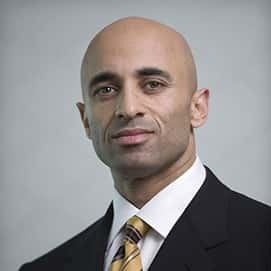 His Excellency Yousef Al Otaiba, Ambassador of the United Arab Emirates to the United States of America, took up his post in July 2008. Since becoming Ambassador, UAE-US relations have enhanced significantly, improving bilateral security, economic cooperation including increased military, intelligence and counterterrorism cooperation. Ambassador Al Otaiba leads UAE’s significant commitment to philanthropic activities in the United States; such as, facilitating a transformational gift from the UAE to launch the Sheikh Zayed Institute for Pediatric Surgical Innovation at Children’s National Medical Center in Washington, DC, developed innovative community partnerships around the US to benefit kids in underserved communities and provided assistance to aid reconstruction and recovery of US communities following natural disasters in Texas, Florida, New Jersey, New York and Missouri. Ambassador Al Otaiba previously served as the Director of International Affairs for the Crown Prince of Abu Dhabi, and Deputy Supreme Commander of the UAE Armed Forces, His Highness Sheikh Mohamed bin Zayed Al Nahyan. Ambassador Al Otaiba obtained a degree in international relations from Georgetown University in Washington, DC. He also attended the Industrial College of the US Armed Forces at the National Defense University in Washington, DC as an International Fellow. 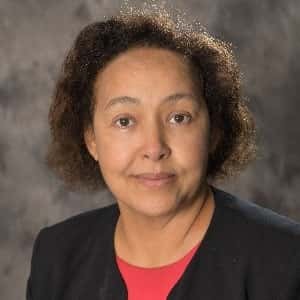 Dr. Frannie Léautier is the Chief Operating Officer of the Eastern and Southern Africa Trade and Development Bank. Prior to her current position, she occupied several prominent roles, serving as Vice President of the World Bank Group, Senior Vice President of the African Development Bank, and Executive Secretary of the African Capacity Building Foundation. Dr. Léautier offers leadership in important areas of governance as the Board Director of the African Economic Research Consortium (AERC), an organization that provides critical policy research and analysis for government officials. As a member of the Global Agenda Council of the World Economic Forum (WEF), Dr Léautier applies widely sourced ideas to African problems and ensures that the African agenda makes its way into international discussions. She is also known for her work in the water, energy, and transportation sectors and is widely published. She holds a Bachelor of Science in civil engineering from the University of Dar es Salaam, a Master of Science in transportation from MIT, and a PhD in infrastructure systems from MIT. She has also graduated from the executive development program at Harvard University. Dr. Sahar Attia, is a Professor at Cairo University. She was the Head of the Department of Architecture at the Faculty of Engineering from 2013-2017. She has more than 35 years of extensive experience in academia and practice. She is chairing the steering committee for the Universities Network Initiative - UN Habitat (UNI), and a member in the Standing committee of the World Urban Campaign. 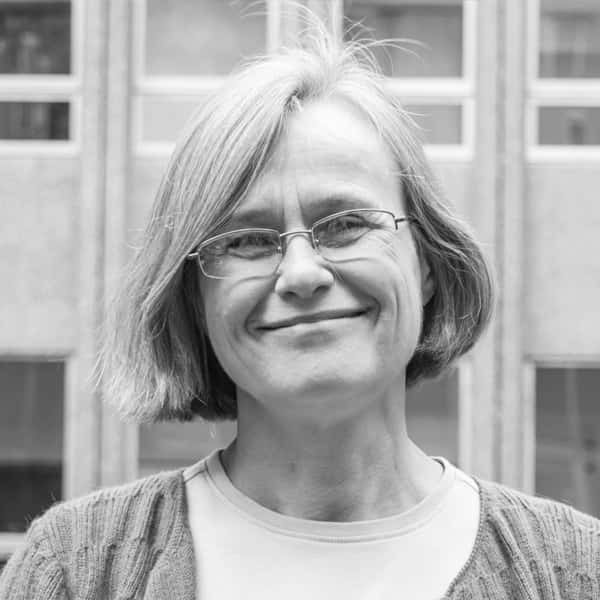 Her research interests and publications include participatory approaches in Urban Development, Urban Regeneration, and Upgrading the Informal Areas, with a special focus on sustainable cities. 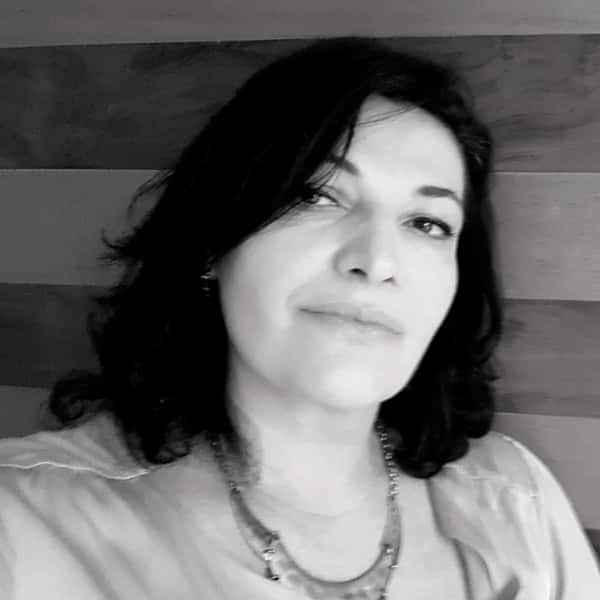 Nadine Bitar is a thought leader on place-led approach for future cities and founder of placemaking.me, a think tank and consultancy based in Dubai. 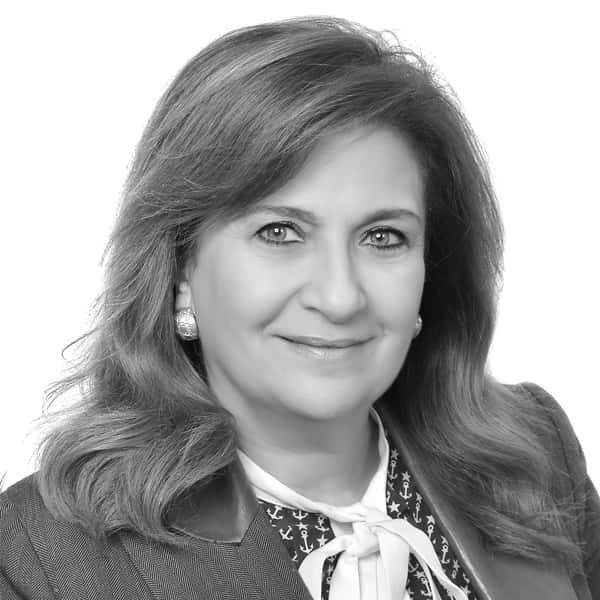 Mrs. Bitar is a former city planning advisor to multiple local authorities in the United Arab Emirates and also lead the regional planning practise at Mouchel Consulting (Now WSP) and local planning team at Tatweer (Now Dubai Properties). Till present, she has been involved in the planning and development of more than 30 large scale districts and urban extensions in the Middle East, Africa and South East Asia Region. She lectures on sustainable design and sustainable urbanism at the American University in Dubai. Mrs. Bitar is an AIA international Associate and Executive council member of Ellevate Network. 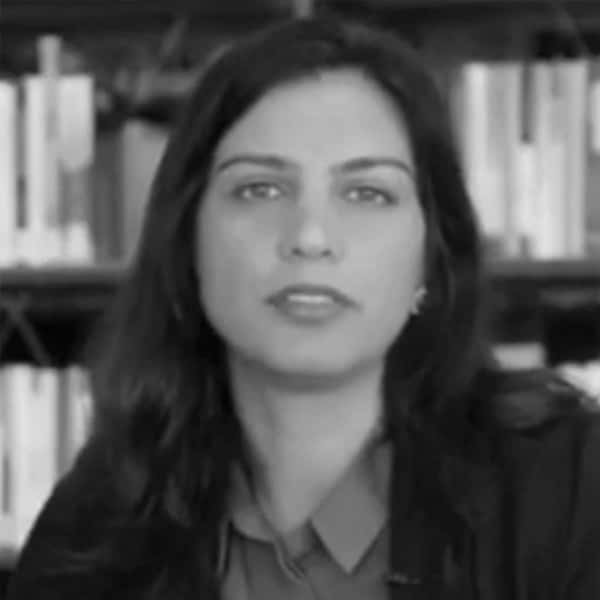 She has a management diploma focused on innovation from Insead business school, completed Smart Cities program from Harvard Graduate school of Design program, has a Msc in Urban Design from the American University of Beirut and currently specialising in public policy for sustainable development at Mohammed Bin Rashid School of Government in Dubai. 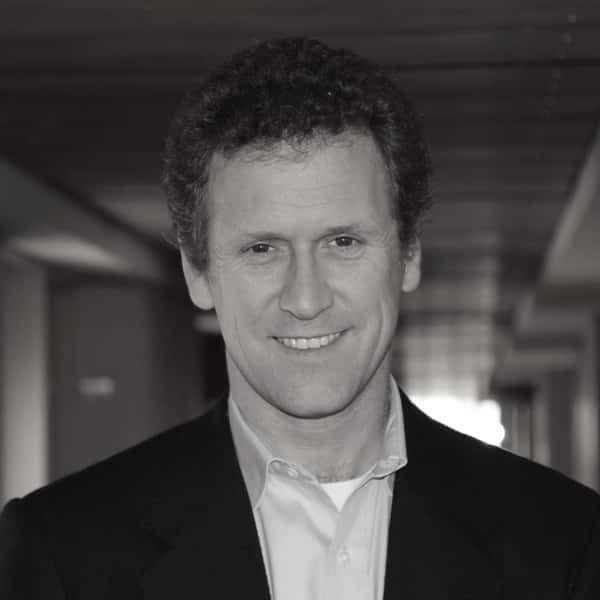 Uwe S. Brandes is associate professor of practice and founding director of the urban planning program at Georgetown University. Mr. Brandes advises cities around the world on their urban planning and development initiatives. 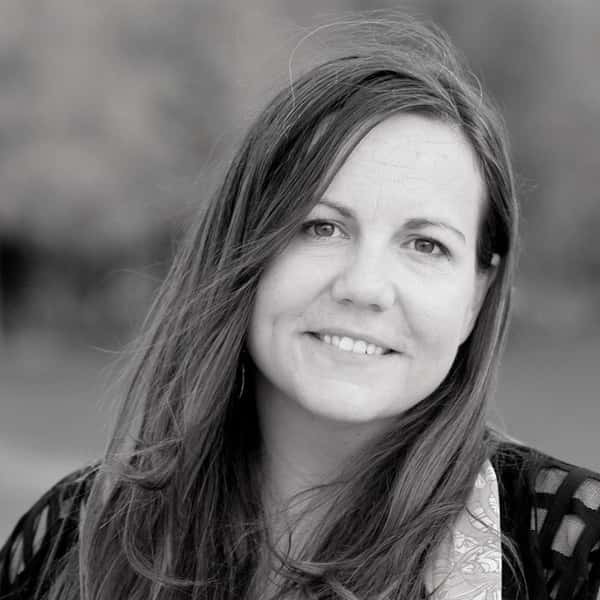 Skye Duncan is the Director of the Global Designing Cities Initiative (GDCI) at the National Association of City Transportation Officials (NACTO). Following 15+ years of experience in architecture, urban design, and planning, her team has published the Global Street Design Guide and currently provide ongoing technical assistance to cities around the world on safe and sustainable street design and mobility. 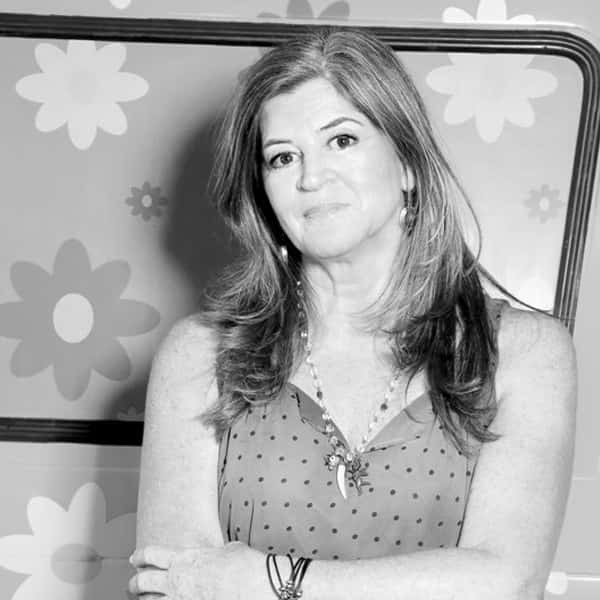 Diza Gonzaga is the founder and volunteer president of the Thiago de Moraes Gonzaga Foundation, an institution she created in May 1996, after losing her son, Thiago, in a car accident. Having been an architect until the Foundation was created, Diza has since become an “expert” in saving lives: she has published several papers on legislation, education and life preservation on roads. As a speaker, Diza Gonzaga has participated in conferences and events both nationally and abroad, presenting the Urgent Life program and sharing her experience in traffic education, social mobilization and volunteer, public policies and traffic and mobility legislation. 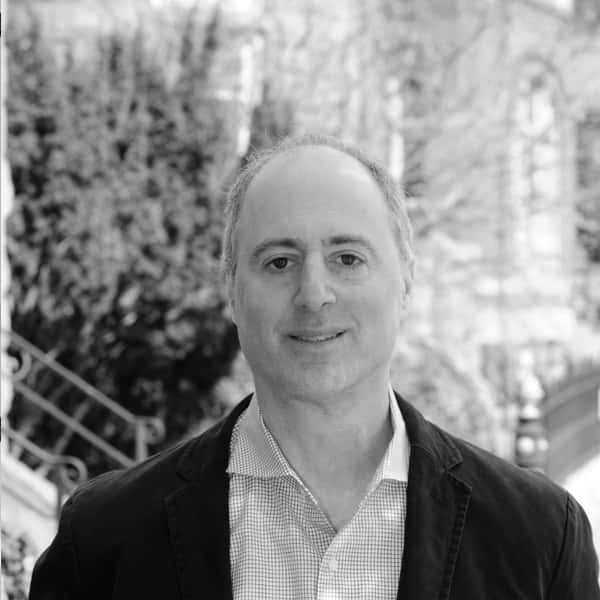 Andrew Altman is an internationally recognized leader in transforming cities and the planning of large-scale urban projects. Andy was the founding Chief Executive Officer of the London Olympic Park Legacy Company in London, England where he led the master development of the largest regeneration project in the United Kingdom. Before being recruited to London for the 2012 Olympics, he was the Deputy Mayor for Economic Development and Planning, and Director of Commerce, for the City of Philadelphia under Mayor Michael Nutter. 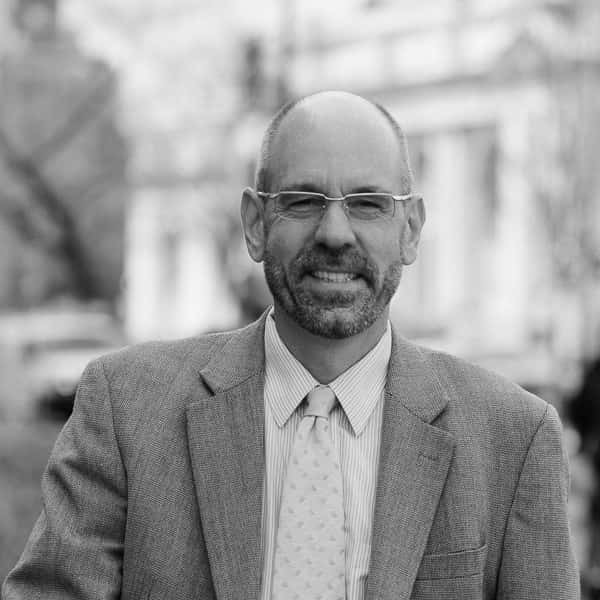 Andy first established himself as an internationally recognized urban planner in Washington, DC as the city's Planning Director under Mayor Anthony Williams where he built the department into a national model for visionary urban planning. He led the Anacostia Waterfront Initiative that catalyzed Washington's waterfront. 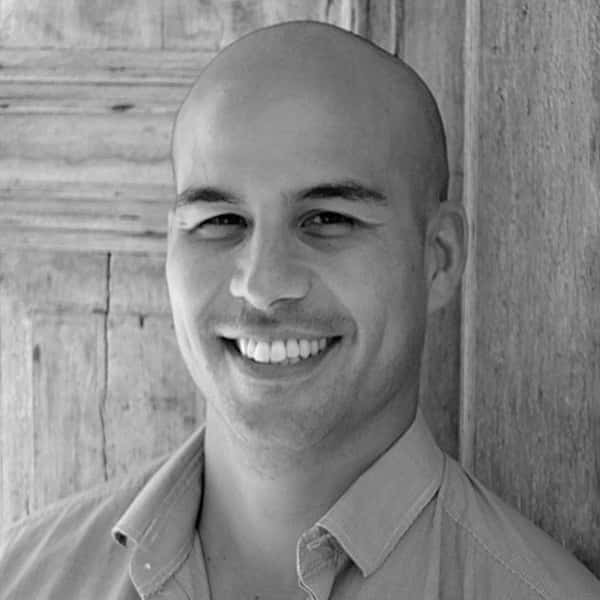 Andy is currently a co-founder and Principal of Fivesquares Development, a real estate development company based in Washington DC. 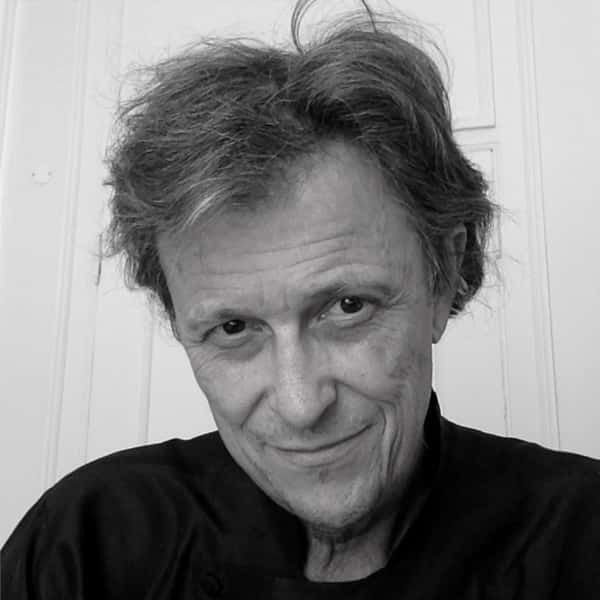 He is also a Senior Advisor to the Massachusetts Institute of Technology School of Architecture and Planning. Professor Madhav Badami teaches in the School of Urban Planning and the McGill School of Environment at McGill University. He is also a core faculty member in the inter-faculty BA&Sc programme in Sustainability, Science and Society at McGill. His teaching and research interests are in the areas of environmental policy and planning; urban transport; alternative transport fuels; urban infrastructure and services; and environment and development. 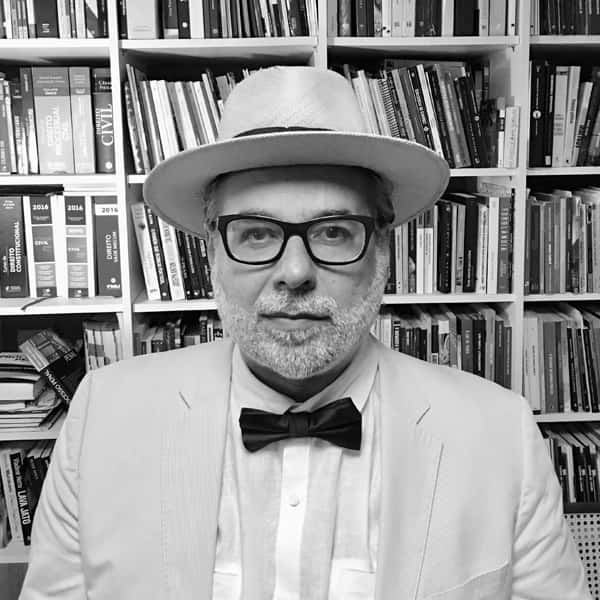 Alain Bertaud, an urbanist, is a senior research scholar at the NYU Marron Institute. His main area of research is the impact of markets, transportation, and regulations on urban form. 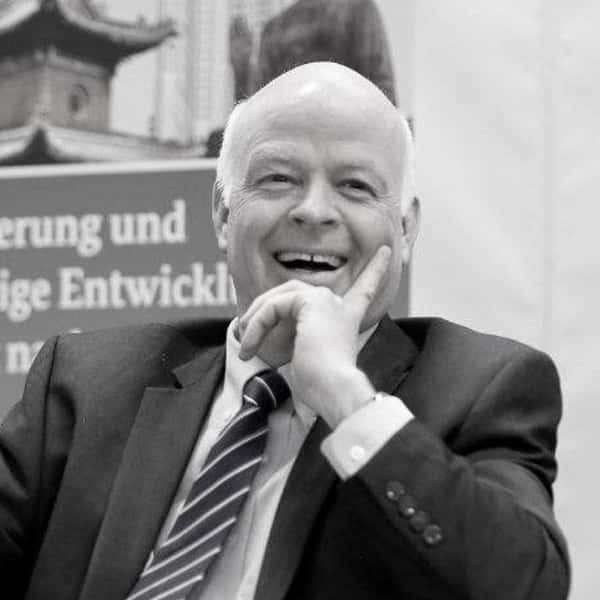 Bertaud had been principal urban planner at the World Bank, where he worked on urban policy and urban infrastructure mainly in South Asia, China, Russia, and countries of Eastern Europe. Previously, he worked as a resident urban planner in several cities around the world. Gautam teaches housing, planning, inequality and urban theory at IIHS. 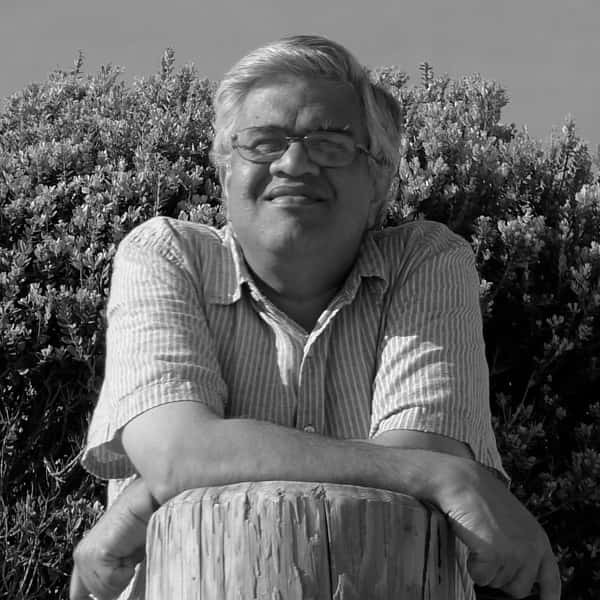 He is most recently the co-editor of Routledge Companion to Planning the Global South (Routledge), and author of In the Public's Interest: Evictions, Citizenship and Inequality in Contemporary Delhi (Orient Blackswan/University of Georgia Press). Saul Billingsley is Executive Director of the FIA Foundation, a charity working internationally for safe and sustainable mobility. He coordinates the global Child Health Initiative; serves on the board of the International Road Assessment Programme (iRAP); and has contributed to many reports and campaigns, including successful advocacy to secure a road safety target in the SDGs. Harriet’s work is concerned with environmental governance and politics. Over the past twenty years she has been working on how cities can respond to climate change. Her research has been widely published and she provides expert advice to international bodies, national governments, corporate organisation and local communities. She currently convenes the H2020 project NATURVATION. 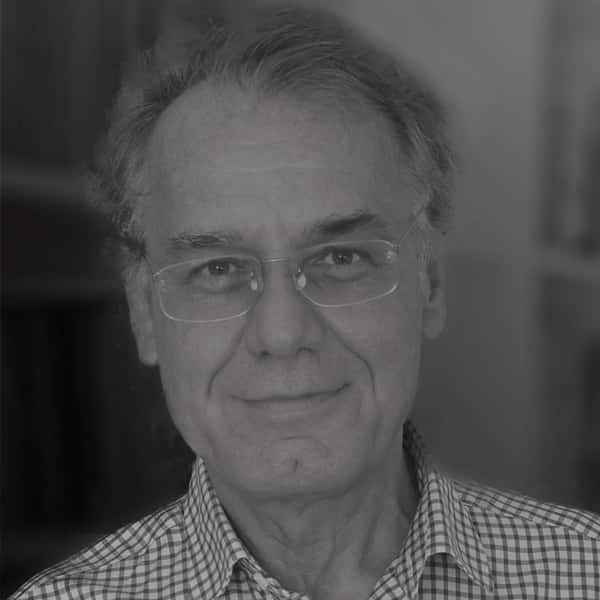 Yves Cabannes is a planner and urban specialist, Emeritus Professor of Development Planning, Chair of Development Planning [2006-2015] at Bartlett Development Planning Unit (DPU), University College London. From 2004 to 2006 he was lecturer in Urban Planning at Harvard University Graduate School of Design. From 1997 until December 2003, he was the regional Coordinator of the UN Habitat/UNDP Urban Management Program for Latin America and the Caribbean. He has particular experience and interest in participatory budgeting, urban agriculture & Food sovereignty, collective and communal forms of land tenure, local currencies, participatory planning, municipal public policies, low cost housing, community-based micro credit systems and appropriate technologies for local development. He has extensively published on various of these issues. He is an advocate on development and rights issues and was the convener for the UN Advisory Group on Forced Evictions (2004 -2010) and the senior advisor to the Municipality of Porto Alegre, Brazil, for the international network on participatory budgeting. He is committed to civil society initiatives in different regions and a member of the board of various international foundations and organisations. Vanesa Castán Broto studies the governance of climate change and resources in urban areas. Her publications have focused on the urban politics of climate change and participatory planning for climate change in Mozambique. She has also edited books on energy geographies and urban sustainability transitions. 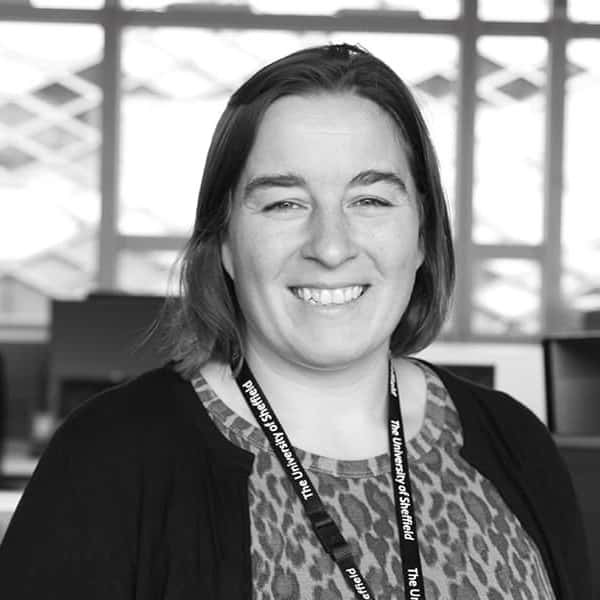 In 2016 she received the Philip Leverhulme Prize for contributions to urban geography. William (Billy) Cobbett, Director of Cities Alliance was Director General for the National Department of Housing in Nelson Mandela’s Government of National Unity, overseeing the design and launch of South Africa’s first non-racial housing policy under Minister Joe Slovo. While at UN-Habitat, he designed and launched the Global Campaign for Secure Tenure. He has been Director of the Cities Alliance since 2006. Clarisse Cunha Linke is the Brazil Country Director to the Institute for Transportation & Development Policy (ITDP) for the past 6 years. She has 17 years professional experience in Brazil, Mozambique and Namibia, and holds an MSc in Social Policy from the London School of Economics and Political Science. From 2006-2011, she helped delivering the biggest community-based enterprise bicycle distribution network in sub-Saharan Africa with BEN Namibia. In 2010 she won the Ashoka Challenge “Women, Tools and Technology”. Haluk Gerçek is an Emeritus Professor of Civil Engineering. He was graduated from the Civil Engineering Faculty, Istanbul Technical University in 1970. He completed his PhD in transportation engineering in 1974. His specific areas of interest are transportation planning and policy, sustainable urban mobility and accessibility, economic appraisal of transportation projects, and transportation demand analysis. She holds a Ph.D from the London School of Economics and Political Science in UK. 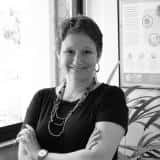 She is a senior consultant to Argentina´s and Latin American governments and has participated in framing diverse housing and land policy programs for the World Bank, IADB, , CAF, related to urban growth, land and housing markets and their impacts on urban welfare and inequalities. She is also a fellow to the Lincoln Institute of Land Policy. 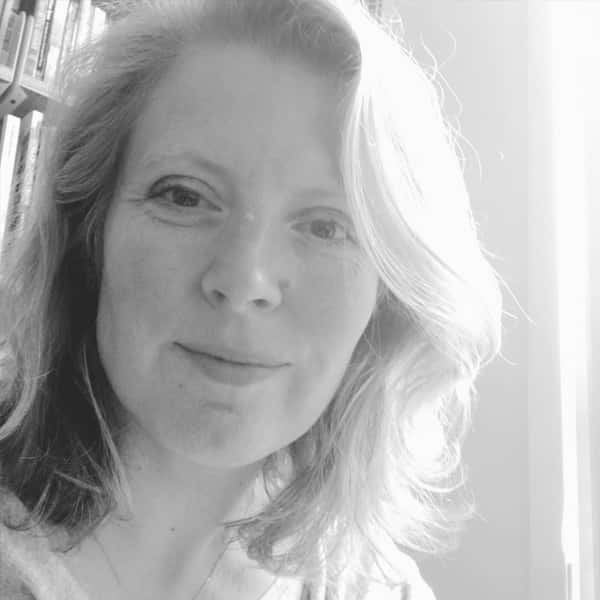 Fiona Harvey is a multi award-winning journalist who has covered the environment for more than 14 years, initially at the Financial Times and currently at the Guardian and Observer newspapers. She reported on the Copenhagen and Paris climate change talks, has interviewed leading world figures including Ban Ki-moon, Tony Blair, Al Gore and Sir David Attenborough, and covered all environmental issues, from global warming to plastics in the oceans. She has reported from as far afield as the Arctic and the Amazon, and is based in London, UK. 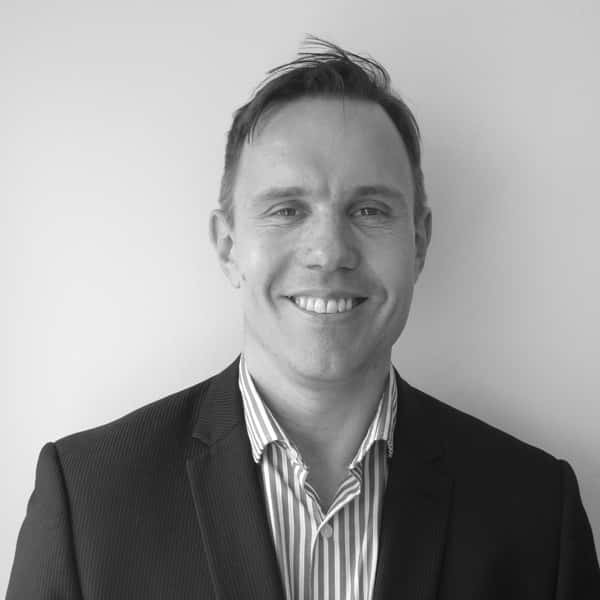 Neil has been CEO of WSUP since 2014. He has two decade’s experience successfully leading social enterprises promoting low income consumer service delivery in emerging markets, with expertise the in the energy, agriculture and WASH sectors. He has an MBA with distinction from Cass Business School, and MA from the University of Cambridge. 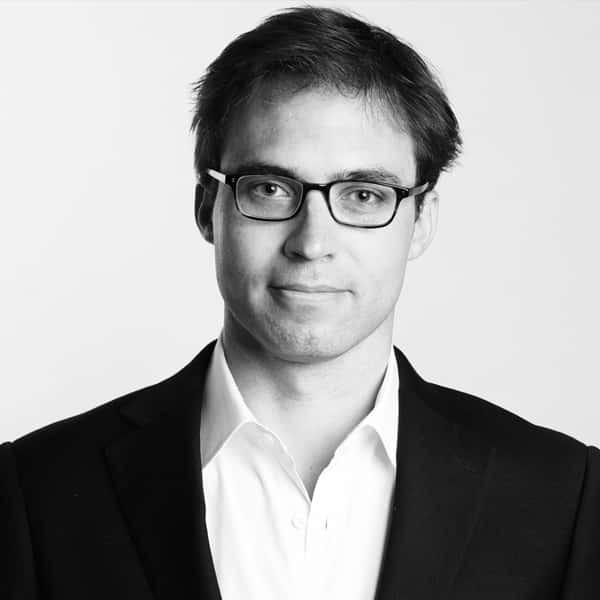 Guilherme is currently Senior Programme Manager for Europe and Middle East at the 100 Resilient Cities Program of the Rockefeller Foundation. 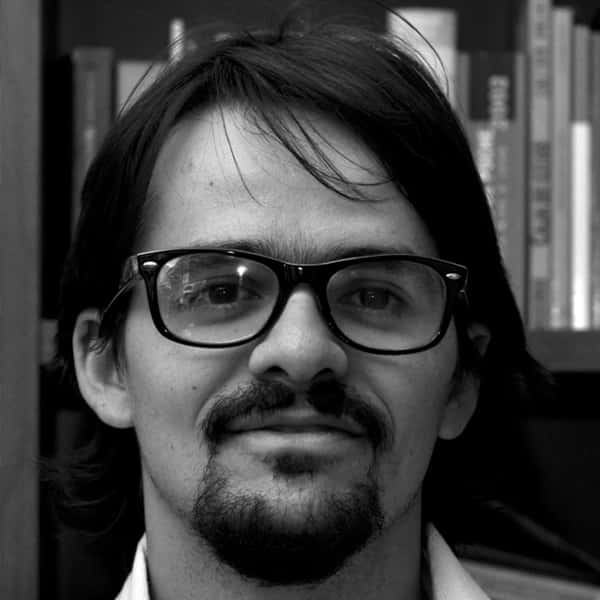 Guilherme brings more than 10 years of experience working with local governments and international development. Prior to joining 100RC, he worked for cities related organizations like Future Cities Catapult in London, the Council of European Municipalities and Regions in Paris, and ICLEI – Local Governments for Sustainability in Sao Paulo, Brazil and Bonn, Germany. 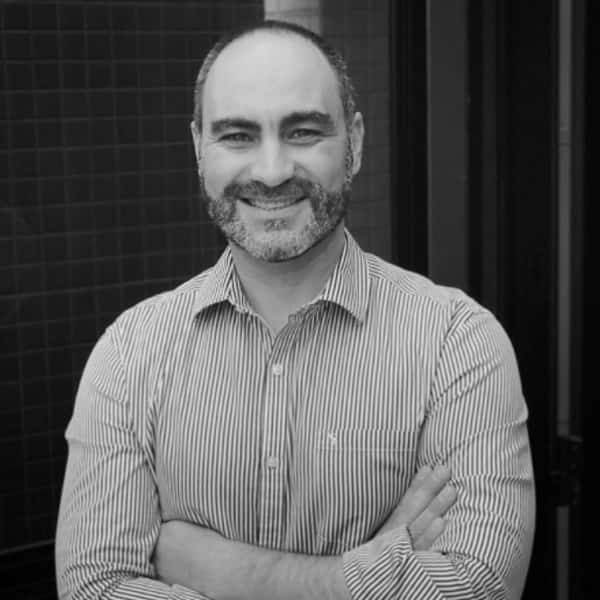 Guilherme has also worked for the UK Foreign and Commonwealth Office on projects supporting Brazilian cities and states to improve their urban infrastructure. He holds a Bachelor’s Degree in International Relations from the Catholic University of Sao Paulo in Brazil, and a Master’s Degree in European Studies and Global Affairs from the Catholic University of Milan, Italy. 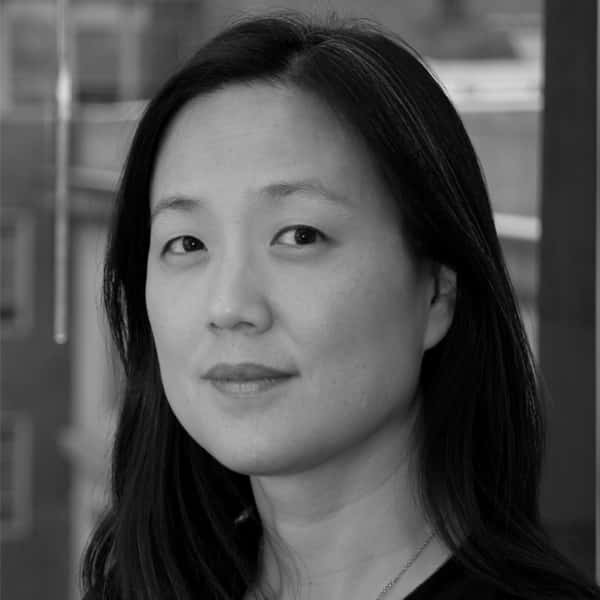 Annette Kim is Associate Professor of urban planning at the University of Southern California. She founded and directs SLAB, the Spatial Analysis Laboratory, that advances the visualization of the social sciences for public service, in order to find inclusive and humane ways to design and govern the 21st century city. Dr. Pawan Kumar Labhasetwar is the Senior Principal Scientist and Head of the Water Technology and Management Division CSIR-National Environmental Engineering Research Institute (CSIR-NEERI). He is also the Chairman of the BIS Committee: Point-of-use Water Purification Systems, the Head of the WHO Collaborating Centre for Water & Sanitation, and a member of WHO-IAC. He has recieved multiple awards, including the PIA-IWA Award: NEERI-ZAR Technology, the PIA-IWA Award: Solar Energy based Electrolytic Defluoridation (EDF) Technology, the DST-Lockheed Martin Innovation Growth Award: Solar Energy based EDF Technology, and the Jal Nirmalata IWWA Award for 2016-17. Dr. Labhasetwar also serves as Editor for the 3 IWA journal. 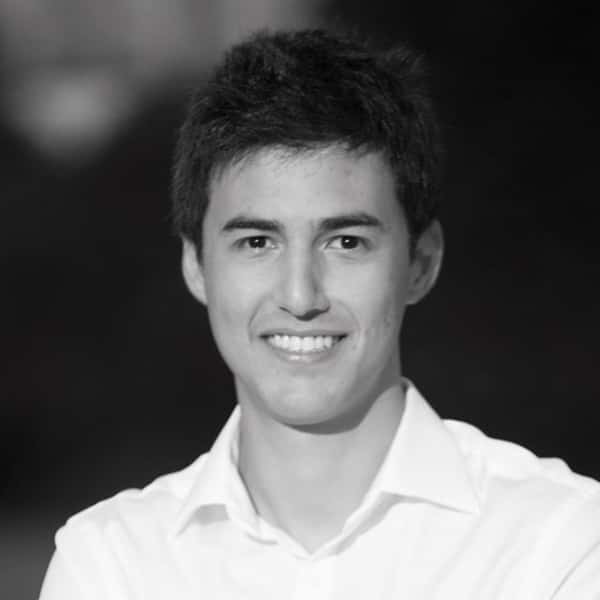 Anthony Ling is Founder and Editor-in-Chief of Caos Planejado, an online publication on urban issues and is currently a MBA student at the Stanford Gradute School of Business. Previously he started a microtransit startup in Brazil and also worked at Isay Weinfeld Architects. He graduated in Architecture and Urban Planning at the Universidade Federal do Rio Grande do Sul. Martha Martorelli is an engineer, infrastructure analyst, manager of urban mobility projects at the Ministry of Cities, postgraduate in public managment specializing in the environment. She is at the focal point of Brazil in urban mobility, as she is responsible for environmental projects, planning, internation cooperation and national public poilicy in the area of urban mobility in the federal government. Executive Director, The GoDown Arts Centre, Nairobi, Kenya. Joy Mboya, educated as an architect, is a performer and cultural activist. 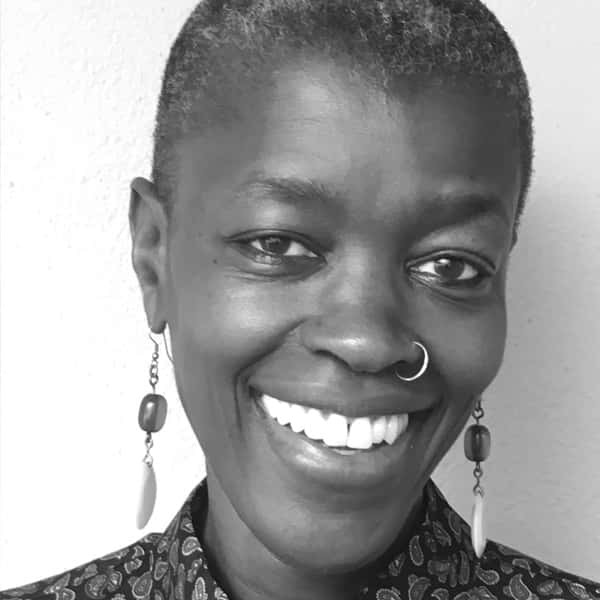 She has led The GoDown Arts Centre’s development as a site for artistic experimentation, cross-sector partnerships and creative collaboration, spearheading a variety of ambitious programs such as the annual Nairobi-wide festival Nai Ni Who that connects culture and city. Diana Mitlin, Professor of Global Urbanism and Managing Director of the Global Development Institute, University of Manchester. 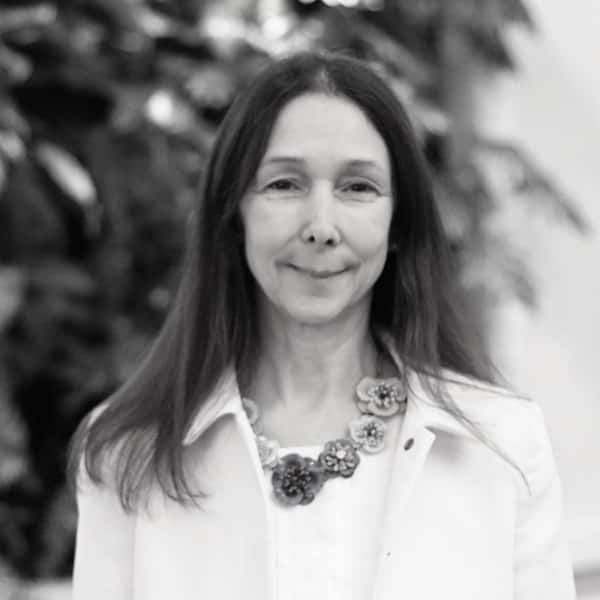 Diana Mitlin is a Professor at and Managing Director of the Global Development Institute at the University of Manchester. She is also the Principal Researcher at the International Institute for Environment and Development and vice-Chair of the Expert Group on International Development for the Economic and Social Research Council (ESRC). Her work focuses on urban poverty and inequality including urban poverty reduction programmes and the contribution of collective action. Robert Mukiza leads GGGI’s support to the implementation of the Government of Ethiopia’ Climate Resilience Green Economy strategy. He also leads GGGI’s engagement with the African Union and UNECA. 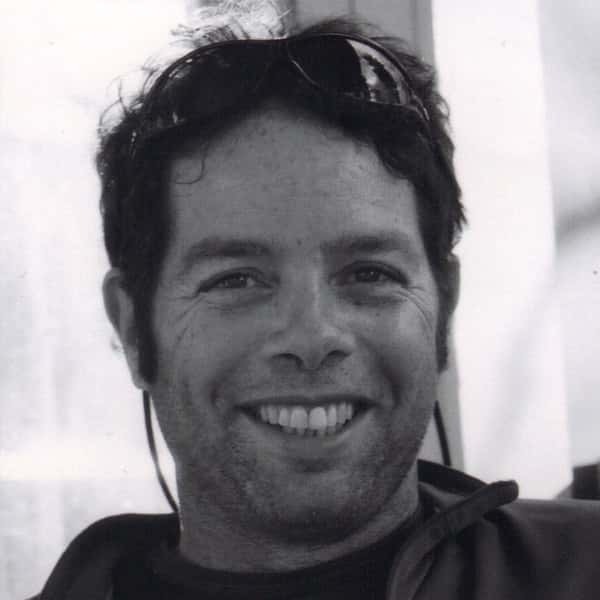 Prior to GGGI, Robert served as a Director of Hong Kong-based Acadia Energy, Head of the UN Coordination Unit in Botswana, Lead Economist for the UN in the Maldives and a researcher at UNRISD. He has vast experience in international development and the private sector. Robert holds a Msc. in International Finance and Economic Development from the University of Kent, a Bsc. in Quantitative Economics from Makerere University and has studied Strategic Leadership at the Said Business School of Oxford University (UK). Professor at the Department of Transport Engineering and Logistics of the Pontificia Universidad Católica de Chile, where he is the Director of the Bus Rapid Transit Centre of Excellence (www.brt.cl) and of the multidisciplinary Centre of Sustainable Urban Development (www.cedeus.cl). Has been a member of the Board of Metro of Santiago and of Valparaiso in Chile. He has also been a frequent advisor to the government on public transport issues. 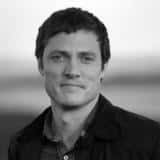 Michael Murphy is the executive director and co-founder of MASS Design Group, an architecture and design collaborative with offices in Boston and Kigali. As a designer, writer, and teacher, his work investigates the social and political consequences of the built world and advocates for a new empowerment in architecture that calls on architects to consider the ethical nature of their design decisions while simultaneously searching for beauty and meaning. 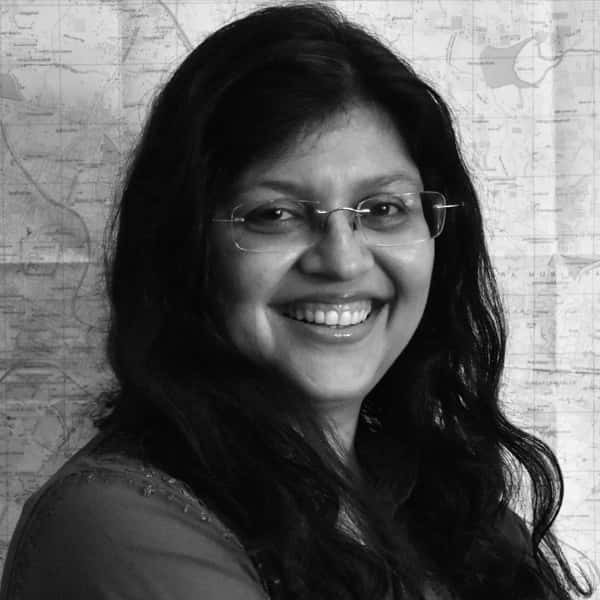 Harini Nagendra’s research focuses on social-ecological transformations in South Asia. Prof. Nagendra received a 2013 Elinor Ostrom Senior Scholar award for research and practice on urban commons. Her 2016 book “Nature in the City: Bengaluru in the Past, Present, and Future” examines the implications of environmental change for cities of the global south. Jeff Olson is an architect, planner, entrepreneur and author who has been involved in green infrastructure, open space, active living, and alternative mobility projects for more than 25 years. He has had a diverse career with national, international, and local experience in the public, private, and non-profit sectors. His unique vision and leadership ability are important assets to projects ranging from regional planning to site-specific designs and programs. Mayor of the City of San Fernando, La Union from 1998-2007, Secretary General of CITYNET 2009-2013, Vice President of the International Council of Local Environmental Initiatives (ICLEI) up to 2013, member of the board of directors of Clean Air Asia, Institute for Solidarity in Asia, and more. She is a recipient of the UN Habitat Scroll of Honour Award 2000, Konrad Adenauer Merit Award on Good Governance 2002, Sonia Lorenzo Award on Women in Governance 2016, and Letran Government Service Award 2017. Founder of the Green Mobility Institute, a non-profit organization specializing in Urban Mobility and Urban Development planning . Master in Architecture and Urban Planning from FAU / Mackenzie University and Specialist in Planning and Management of Cities by PECE / POLI - University of São Paulo. Researcher on Walkable Urbanism and Active Transport. He was part of the Climate Fund at the Ministry of Environment of the Brazilian government, Urban Policy Advisor of the city of São Paulo, Member of the Urban Landscape Protection Commission of the City of São Paulo. He has chaired dozens of technical missions for urban mobility and urban development in various cities around the world. Co-author of the book "City of Pedestrians". 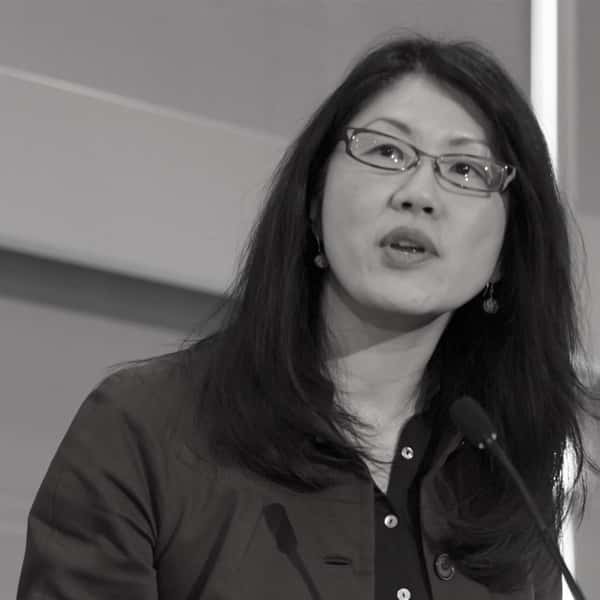 Karen Seto is a geographer and urban scientist whose research aims to understand how urbanization will affect the planet. 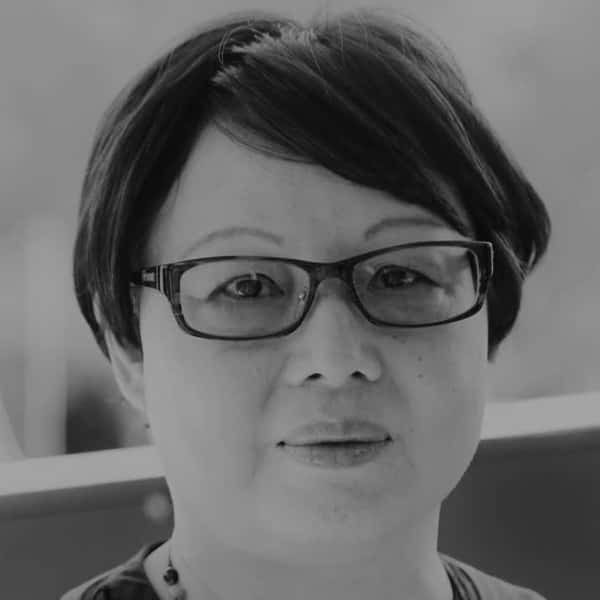 An expert in satellite remote sensing, her work includes characterizing urban land-use, understanding the drivers of urban land-use change, forecasting urban expansion, and assessing the large-scale environmental consequences of urban expansion. She was a Coordinating Lead Author for the urban mitigation chapter of the IPCC Fifth Assessment Report. She is a member of the U.S. National Academy of Sciences. Andrew is an urban development specialist and social scientist committed to context-sensitive, integrated approaches to development. With Resilience Brokers, the global delivery programme of the Ecological Sequestration Trust and the “resilience.io” platform, Andrew works with a wide range of partner organisations and civic-technology initiatives to leverage and advance interdisciplinary social and climate science knowledge sharing and research that is accessible to, and ideally co-produced by, urban practitioners and wider stakeholders. Past appointments include with PPJ consortium on the Hanoi Master Plan and with Bluepath Consulting and Arup on their sustainability-driven planning projects in China and beyond. 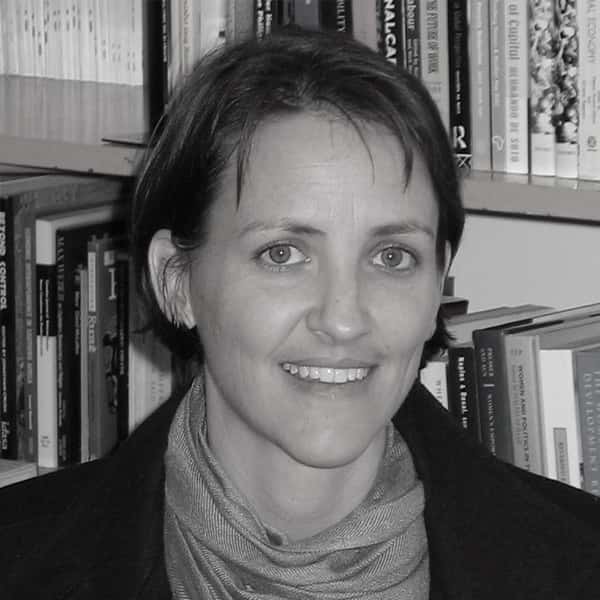 Caroline Skinner is Urban Policies Programme Director for the global research, policy and advocacy network Women in Informal Employment: Globalizing and Organizing or WIEGO and a Senior Researcher at the African Centre for Cities at the University of Cape Town. For nearly 20 years, Skinner’s work has interrogated the nature of the informal economy with a focus on informing advocacy processes and livelihood-centred policy and planning responses. She has published widely on the topic. Skinner has a long track record of policy work at a local, provincial, national and international level. She has written policy papers for the United Nations Human Settlements Programme, the United Nations Development Programme and the World Bank, and she has worked with the United Nations High Commission for Refugees. She also provided technical support for membership based organization advocacy campaigns both internationally and in South Africa. Mr. 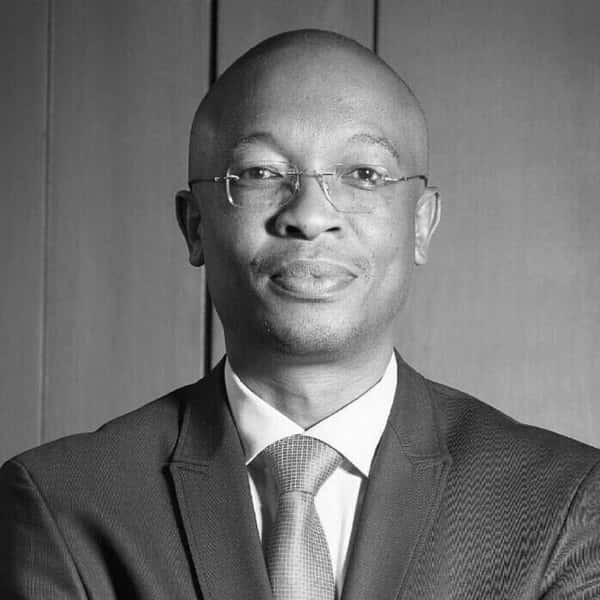 Parks Tau is the President of the global network, the United Cities and Local Governments (UCLG), and the South African Local Government Association (SALGA), respectively. He is the second elected Executive Mayor of the City of Johannesburg in Gauteng between 2011 and 2016. Mr Tau is also the Chairperson of the African National Congress (ANC) Greater Johannesburg Region and a seasoned local government practitioner with over 20 years’ experience in the sector. 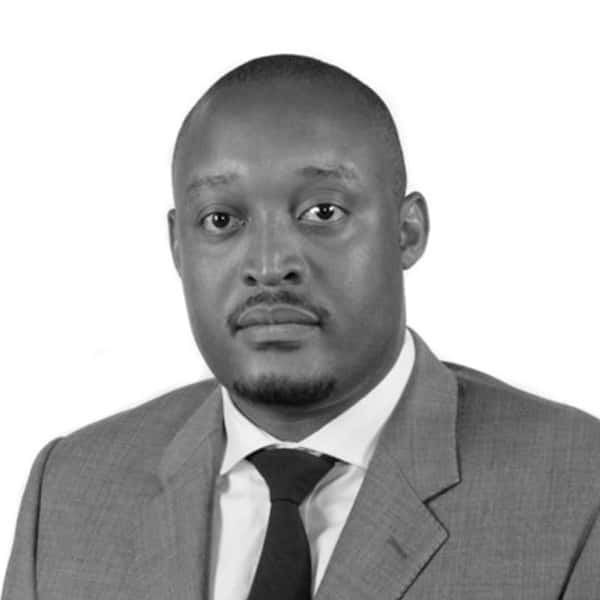 Having completed his studies in Public Management at Regenesys Business School, he further holds a University of London Master’s Degree in Public Policy and Management. His contribution in the local government sphere has seen him elected onto various leadership roles in prominent local and international bodies. He was appointed the coChairperson of the United Nations High Level Independent Panel, established to oversee to the effectiveness of the UN-Habitat programme. Mr Tau’s other leadership roles include being the Chairperson of the South African Cities Network and the deputy Chairperson of the United Nations Special Advisory Committee on Safer Cities. He is also a member of the C40 Climate Change Network Steering Committee, and the former co-President of Metropolis - a network of metropolitans established to build resilient and sustainable cities amidst the pressures of urbanization and climate change. John Taylor is an urban planner, he leads UNDP’s National Urban Poverty Reduction Program in Dhaka, Bangladesh. Previously he was director and co-founder of the Indonesian NGO Yayasan Kota Kita (Our City Foundation), and has worked in Latin America, Africa and Asia on a range of urban governance and planning issues. With diverse academic background in geography, social sciences and environmental sciences, and experiences in education and community outreach, Christina’s research interests are in culture and consumption behavior among migrants and population groups in the context of sustainable living and environment. She is currently working on informal transport. Sandro is the Chairman of The Brazilian Institute for Quality and Productivity- IBQP, as well as the Executive Director of WTC Consulting (World Trade Center Consulting, responsible for South Brazil area) and Co-founder of ENSOLAB – Renewable Energy Company. Sandro also is a volunteer and co-founder of LIBRIA (a social project that provides mentoring and acceleration for social businesses startups – www.projetolibria.com.br). Welcome to the WRI Ross Prize for Cities Guide to the Application. Please take note that the application cannot be saved and continued later. We recommend completing the questions offline, and pasting in responses. Please be sure to fill out all fields. Note that some questions incorporate word limits on responses. You will have an opportunity to upload/share additional resources in the last section of the application. We do not require proof of eligibility at this stage. We do assume that the submission of an application constitutes self-certification of eligibility to receive the prize. Project Location – Main city and country where your project took place. If it is a neighborhood project, please mention the area. Why should we consider your project for the prize? How has it been transformative for the city? convey the impact and importance of the project, again using succinct, clear, and compelling language. keep your response at or below 3,500 characters. Please describe your project's economic, social and/or environmental impacts, including both positive and negative impacts. Please make sure to mention the implications of the project, if any, for equity and on poor and marginalized populations. In providing evidence of impact, we are interested in both quantitative and qualitative indicators that give a sense of the nature and scale of the project’s impact. Please provide specific measures and illustrations. We have not established a minimum threshold of impact for any given project to be considered "transformative," but those that have created deeper, more extensive change will be more competitive than others. In describing impact, please clarify which impacts are directly attributable to the project and which impacts are more indirectly linked to the project, through replication, the impact of the project on leveraging additional investments, and/or other responses to the direct project outcomes. For example, your project might have directly resulted in the development of 10,000 new housing units that are accessible to public transportation, including 4,000 units that are designated as affordable housing. This would be the direct impact. A subsequent partnership between the city, community-based organizations, and developers to extend an existing urban greenway to connect to these new housing units would be considered a leverage investment. The impacts of this leverage investment, for example if the greenway extension includes 25 community gardens, ensuring that half of the plots available are prioritized for low-income residents, would be an indirect impact. Please indicate methods for evaluating impact and attach supporting evidence at the end of the application. It is desirable, but not required, for projects to have a positive impact on all three areas. Economic impacts: Economic transformation can encompass various forms of change, including growth or contraction of the city or neighborhood economy, shifts in the distribution of resources, assets and opportunities and transitions from historic occupations to job opportunities linked to emerging sectors. Our focus is on finding projects that have contributed to more vibrant, inclusive and robust urban economies. Social impacts: How has the project contributed to systematic changes – positive and negative – in peoples’ lives and wellbeing, both as individuals and as communities? Positive impacts might mean improvements in physical safety and security, housing security, or food security. They might also mean expanded freedom of expression and civil and human rights. Projects might strengthen social networks or improve social cohesion or expand representation and civic engagement, particularly from typically marginalized communities. A project could also reduce social and economic inequalities and/or create new opportunities for the upward social mobility of poor and/or marginalized groups. Environmental impacts: We are interested in understanding both the short- and long-term effects of a project on the state and dynamics of the physical environment. We are also interested in impacts on relationship between the city and the air, water, land, bio-diversity, and other resource systems it interacts with. Project impacts may include both mitigation of environmental change as well as adaptation or building resilience to environmental change. We also consider impacts on both remediation of pollution as well as mitigation. Positive Impacts – We are looking to identify and recognize projects that have contributed to large-scale transformational change. Economic – 4,000 character limit. Social – 4,000 character limit. Environmental – 4,000 character limit. Negative Impacts – It is common for projects to generate negative impacts, some of which might be unintended or unanticipated. We understand that projects are part of a broader change journey that a city is going through and that change happens in cycles – some representing more positive shifts and others more negative. Please discuss your approach, if any, to mitigate negative impacts. We seek to understand the negative project impacts and mitigation strategies taken in part to understand the durability of the positive changes in the city. Scaling – In the assessment of economic, social and environmental impacts (above), we seek to understand the scale of impact in terms of number of people benefitting and size of environmental benefits. We are also interested in whether and how the initial project has been replicated elsewhere, and if it has leveraged additional resources (financial, human, technical)—or the scaling-up of the project. We consider replication and leverage to be additional indicators of impacts in the three domains. These are considered evidence of the value that others see in the project. Replication – The project has been replicated in other geographies. Please describe where the project was replicated and indicate the process that led to replication. 4,000 character limit. Leverage – The project has mobilized other resources (financial, human, technical), expanding the original scope of impact. Please include specific indicators that show the type and magnitude of the additional leverage and briefly describe what led to this expanded resource capture. 4,000 character limit. Project Beneficiaries – Please indicate the number of people that directly benefitted from this project (direct beneficiaries) as well as the number of people that have indirectly benefited (indirect beneficiaries) with a brief description of these groups served. Explain how the project served these populations (both directly and indirectly). Be explicit in your answer. For example: 4,000 new units of affordable housing were created that were connected to public transportation. Please attach supportive or explanatory documentation on how you arrived at these beneficiary numbers. SUSTAINABILITY OF IMPACT – The process of transformational change is inherently cyclical with periods of large positive strides marked by setbacks, followed by new gains. We are seeking to identify projects that have built on dynamism and momentum to generate significant shifts that are able to be sustained over time. Many projects generate a large splash, but fail to deliver impact that endures over time. The WRI Ross Prize for Cities is primarily awarded based on demonstrated impact and the sustainability of transformation. Across WRI’s portfolio of work in cities, we have found there to be a higher chance that impacts will be sustained over time when the following factors have been part of the project design and implementation: 1) the existence of collaboration and demonstration of support from diverse stakeholders; and 2) information about the project has been clearly and transparently shared and discussed with the wider public. Please explain, as specifically as possible, why the project impact is sustainable and will be sustained and/or amplified over time. Collaboration and Transparency – Project has provided opportunities for all types of stakeholders to engage and provide input. Mechanisms that further enable access to information and engagement with the project have been included. Measures to use a collective decision -making approach have been used. Please describe these opportunities, mechanisms and measures, and include discussion of the different stakeholders involved and information shared. 4,000 character limit. Project Team – Include all organizations and the key individuals within the organization who have been responsible for conceptualizing, initiating and implementing the project. If multiple individuals within an organization have been involved, separate their names with commas. If an individual has acted in their own personal capacity to contribute to the project – that is, without substantial support from any organization and not as a part of that person’s job responsibilities – note the organization as “N/A” and provide that person’s name. The names entered are considered as the project team and thus the recipients of the WRI Ross Prize in the event that the project wins. Please note that while the prize honor can be awarded to individuals, direct financial disbursements can only be made to organizations (See Terms and Conditions). Please be sure that your responses are comprehensive. The application team is responsible for including all significant contributors to the project, and a finding of omission of substantial contributors during semi-finalist and finalist review may result in disqualification of the application. More Organizations – Please use this field to identify additional organizations and key individuals. Separate by semi-colons. Please upload, provide links to, or expand upon any relevant supporting information. Additional Information – 4000 character limit. How did you hear about the WRI Ross Prize for Cities? By selecting "Yes," I certify: 1. That I have the authority to make this application; 2. That I have read and agree to the WRI Ross Prize for Cities Terms and Conditions; and 3. That the information I have submitted and will submit is true and correct in all respects. The following are the Terms and Conditions issued by the World Resources Institute, 10 G Street NE, Suite 800, Washington, DC 20002, USA, ("WRI") for the WRI ROSS PRIZE FOR CITIES (the "Prize"). By submitting an application to be considered for the Prize, an applicant agrees to be bound by these terms and conditions. Throughout the course of this document, WRI uses the term “project” to refer to a specific activity or programmatically linked set of activities in the city that have contributed to transformative change. Programmatic linkages may be by design, for example being part of a common, documented strategy; by virtue of common financial support, common oversight, or shared implementation teams; or by documented commitment to shared goals. A project could refer to a number of types of activities, which fit into a range of categories, including social, technological, and/or institutional innovation, training or awareness raising activities, policy or regulatory reform, and infrastructure creation or modification. The applicant may be a single organization or a group of organizations or a group of organizations and individuals with at least one organization among the group. See Part 2. (Application) and 4. (Eligibility) for further details. A member of the Applicant is each individual or organization that is included among the named contributors to the Project. Institutional legacy, for example, lasting platforms for bringing together diverse stakeholders in a cohesive way and establishing a foundation on which to collaborate, make decisions and move forward. Spillover effects, or tangible impact beyond the initial project site or focus area, affecting other parts of the city or even other cities. Replication and leverage: By demonstrating a new possibility or overcoming a long-standing bottleneck, inspires similar projects and/or prompts new support from different stakeholders. 1. The Prize: There will be one Prize of $250,000 for a project that has contributed substantially to transformative change toward a more sustainable city. Four other projects which are designated finalists will be publicly promoted by WRI as transformative, innovative steps toward more sustainable cities. The decisions by the jurors are final and not subject to review. Economic, for which indicators of change include but are not limited to increased vitality of surrounding neighborhoods, a change in city revenues, new or different jobs – e.g. a move from “sunset” sectors to “new economy” opportunities, accelerated investment rates, new or different businesses, or more inclusive labor markets. Environmental, for which indicators of change include but are not limited to Increased resilience (to flooding, extreme weather, heat islands, for example), lower emissions and greater resource efficiency, cleaner air and water, increased biodiversity and more green space, climate change mitigation and quality of life. Social, for which indicators of change include but are not limited to improved quality of life, health, and education outcomes, new and active networks and coalitions for urban improvement, more social cohesion, safer communities, improved representation and civic engagement. (iii) Applicant includes all parties substantially responsible for initiating and implementing the project. If more than one application is received with respect to a project, those applying will be requested to combine their applications. Each application shall designate the lead organization/entity Each application shall designate the lead organization/entity whom WRI will interact with and which will receive and disburse the monetary award (the "lead organization"). (b) Review. The Applicant is expected to work collaboratively with the WRI team to supply REQUESTED additional information required for vetting semi-finalist and finalist applications, including but not limited to documentary verification of eligibility, impacts, and collaborating in creating a video and other materials for Jury review. WRI and/or its designated media partner will be working with each finalist team to produce materials for the Jury in order to ensure a level playing field among finalists in access to communications and presentation resources. (c) Delivery. Application shall be made by use of the online form. (d) Deadlines. All applications and the initial Submissions in support of such applications must be received by WRI on or before 11:59 PM, EDT, July 31, 2018, to be considered received and eligible for the Prize. Please note we have extended our submission deadline from June 30 to July 31, 2018. You will receive a confirmation email within two business days of your submission if your application was received successfully. If you do not receive this email, please contact ross.prize@wri.org with the name of your project and the email of the project contact. (a) WRI will select five (5) finalists, from which the jurors will choose the winning Applicant. The winning project will be announced on April 10, 2019. (b) WRI shall publicize the five (5) finalist projects and applicants through the media, including the Internet. i. The winning Applicant must not include any individuals or organizations that are noted on the U.S. Treasury Office of Foreign Assets Control Specially Designated Nationals and Blocked Persons List as on April 10, 2019. It must also not be an excluded entity as identified on the U.S. Government System for Award Management (SAM.gov) list as on April 10, 2019.
ii. As a condition of eligibility to be a finalist, the Applicant must provide written instructions for the distribution of the $250,000, signed and notarized by an authorized representative of each organization or individual included in the Applicant. The Applicant must certify that all named contributors to the project shall have agreed upon, and that there are no significant contributors to the project that are not included in the Applicant or prize consortium. This step must take place before the finalist can be confirmed and publicly announced. If the Applicant is unable to produce this plan they shall be ineligible to be a finalist. (d) Two representatives of each finalist project, designated by the Applicant, will be invited to attend the presentation gala at the expense of WRI. (e) WRI will work within all legal restrictions on foreign currency and gifts in the United States and in the Applicant’s home country. No commitment made over the course of the Prize shall supersede any legal restrictions in the United States, in the home country or countries of the entities and individuals included in the Applicant, or in relevant international laws. (f) The individuals and organizations included in the Applicant are solely responsible for any taxes or levies due on the Prize amount in their home country. (g) In the case that no member of the winner is permitted to receive all or a portion of the $250,000 prize from a U.S. entity, WRI will seek reasonable and legal alternative means of paying the Prize amount or benefits of equivalent value to the winning Applicant. If WRI, in its sole discretion, determines there is no reasonable means of paying the Prize, the Applicant may designate an eligible organization that has contributed substantially to transformative change as a substitute recipient. (h) WRI and the Prize Jury shall have sole and absolute discretion to determine the methodology used by WRI and the jurors to render their decisions, declare the winner of the competition and award the Prize. Decisions of WRI and the jurors are final. (a) All types of organizations/entities from the public, private and not-for-profit sectors are eligible to apply for the Prize. Organizations in charge of leading all types of projects and initiatives - including built projects, changes in legislation, policies, programs or initiatives (other than organizations or projects subject to sanctions) are invited to apply, if the projects have led to demonstrable transformative change in a city. (b) All organizations and entities included in the Applicant must be in in good legal and regulatory standing in the jurisdiction in which the project is located and must not be named on the U.S. Treasury Office of Foreign Assets Control Specially Designated Nationals and Blocked Persons List as on April 10, 2019. Organizations and entities must also not be an excluded entity as identified on the U.S. Government System for Award Management (SAM.gov) list as on April 10, 2019. (c) Applications may be for projects anywhere in the world commenced after January 1, 1998, which meet the criteria set forth in section 1 above. 5. Conflict of Interest: Every applicant shall notify WRI at the time of the application or thereafter when it becomes known to applicant of every relationship or connection it or any member of the Applicant has with WRI, any individual employed on a full-time basis by WRI after January 1, 2018 ("WRI affiliate"). If any member of the Applicant has any relationship or connection with a WRI affiliate, the WRI affiliate cannot share in the Prize. All jurors must notify WRI of any relationship or connection to any of the 5 finalists projects or Applicants within a month of the selection of finalists. The juror must then recuse him or herself from judging among the finalists. WRI shall, at its sole discretion, identify an alternate juror. 6. Indemnification. By submission of an application, Applicants automatically agree to fully indemnify, defend, and hold WRI and its affiliates, and their respective directors, officers, employees, shareholders, partners, and agents, and the advisors and jurors (collectively the "WRI parties") harmless from and against any and all claims, losses, costs, and expenses (including attorneys' fees) incurred by any WRI party in connection with any Submissions, any dispute as to the authority of the applicant to submit the application, and any dispute as to the entitlement of an organization/entity to all or any part of the $250,000 Prize award. 7. License. By submitting an application and Submissions, applicant grants an irrevocable, royalty-free, nonexclusive license to WRI to use, disclose or make available to others any and all Submissions (other than material marked "Confidential"). Such disclosure to be in connection with (a) determination of the winner and four finalists; (b) promotion of the Prize; (c) promotion of transformative change toward more sustainable cities; and (d) research projects, including published papers/reports and non-commercial collaborations with other organizations. Applicant represents that it has the right to grant this license. 8. Acts. If, subsequent to the grant of the Prize, the lead organization, participant in the winning project or the winning project is accused of corruption or other criminal acts, or is brought into public disrepute, WRI shall have the right to withdraw the Prize from such project forthwith by notice to the lead organization and thereafter the lead organization and other members of the project team may no longer claim to have won the Prize. However, the $250,000 need not be returned. 9. General. WRI reserves the right to revise these terms and conditions as it, in its sole discretion, deems necessary or desirable. 10. Other. These terms and conditions shall be governed and construed in accordance with the laws of the District of Columbia, USA. By accepting these terms and conditions, applicants agree that any action or proceeding between WRI and applicant for any purpose concerning the Prize or these terms and conditions, or the parties' obligations hereunder shall be brought exclusively in a federal or state court of competent jurisdiction sitting in the District of Columbia, USA, and applicants consent to the exclusive personal jurisdiction of these courts. The invalidity or unenforceability of any provision of these terms and conditions, will not affect the validity or enforceability of any other provision thereof. Who can apply or be nominated? The application is open to a broad range of projects and applicants. See the Terms and Conditions. What is the timeline for the Prize? What is the selection process for the WRI Ross Prize? Open application: An organization can submit a self-nomination to highlight a project they are working on or have worked on. Sourcing applications: WRI will also consult the WRI Ross Prize’s Advisory Council to invite projects to apply. Semi-finalists selection [August 2018 - October 2018]: WRI staff will review applications, selecting up to 20 semi-finalists. Semi-finalists may be contacted to provide additional information, which will aid WRI in identifying five finalists. Finalists’ selection [November 2018 - March 2019]: Selection of five finalists will involve an in-depth review, including site visit. Documented project information will be sent to the Jury, a group of globally recognized individuals, for final selection. How do I know if my project is transformative? We are looking for projects that have significantly changed cities’ economies, environmental sustainability and social fabrics. The Guide to the Application (a downloadable pdf) provides tools for understanding the way in which we define transformative. What is the earliest a project could have begun? The earliest start date of a project is January 1, 1998. The WRI Ross Prize for Cities seeks to identify projects that have been implemented in contexts applicable to the present, and thus are more likely to serve as models for future projects. Does a project have to be complete to be considered? No. However, a project should have major phases completed and will only be assessed based on impact achieved as of the date of application. Prospective or projected impact is not considered. Can I apply if the project is complete? Yes, projects that have been completed may apply, providing they began after 1998. Can I apply on behalf of projects that are complete and for which the lead organization(s) no longer exist? Applying on behalf of completed projects is acceptable. However, at least one of the lead organizations involved in the project must still be in existence. All contributors to the prize will be honored as winners, but the cash prize will only be awarded to organizations/entities that continue to exist in good legal standing. What if my organization can’t receive grant funding from a foreign entity? We will make every effort to find a way to ensure winners receive the cash award. See Terms and Conditions. Yes. The WRI Ross Prize for Cities will be awarded at a gala in New York City in April 2019. 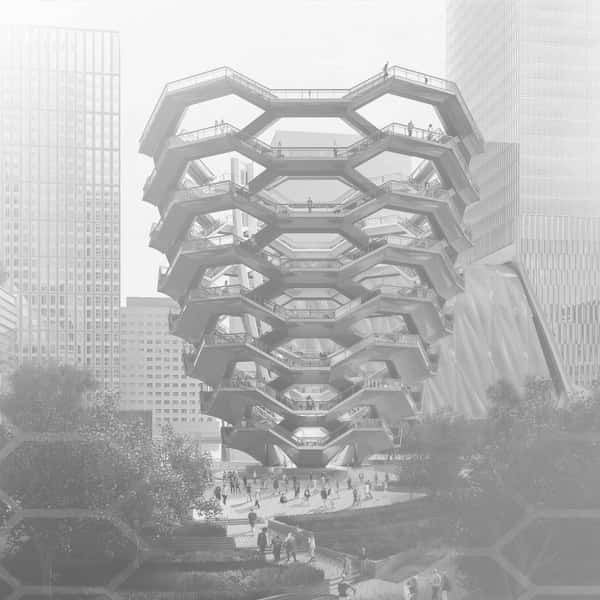 The gala is in April 2019, and will take place at Hudson Yards, New York City. How will the WRI Ross Prize finalists be showcased? Finalists for the WRI Ross Prize will be showcased through a robust media package. This may include, but is not limited to: blogs, video, photography, information on the WRI Ross Prize website and social media coverage. Project media packages are subject to change. Are there conditions to the prize money? The prize is awarded as a lump sum and has no strings attached. However, WRI shall have the right to withdraw the title of winner from a project in which the lead organization is accused of corruption, other criminal acts or is brought into public disrepute. See Terms and Conditions. Is there a submission fee to apply? What is the last day submissions are accepted? What if our project is affiliated with a current or former WRI staff member? Projects affiliated with WRI staff members are welcome to apply. If these projects are selected as semi-finalists, an in-depth review of the staff member’s involvement will occur and may result in the disqualification of the application. No WRI affiliate can be a recipient of the WRI Ross Prize for Cities. Refer to the Terms and Conditions. What if our project is affiliated with a jury member? Funded a project’s implementing organization or paid key individuals for their work on the project. Employed a project’s implementing organization or key individuals working on the project for any purpose within the last 5 years. Invested in a project’s implementing organization or is otherwise in a position to gain financially from the organization’s success. Been employed by an implementing organization in the last 5 years. Been involved in promoting the project. Is there an advantage to being recommended by a member of the Advisory Council? No, there is no advantage to being recommended by an advisory council member. Advisor recommendations are intended to help broaden the scope of projects that apply to the WRI Ross Prize, not to help select a winner. Our project is ongoing. Can we apply using these future projections? Ongoing projects are welcome to apply, but past impact, not future projections, will be used to assess the project. What if we anticipate impacts in different dimensions? Please feel free to include other impacts, utilizing the “Additional and supporting information” designation in the final section of the application. Can multiple applications be submitted for the same project? There are multiple stakeholders associated with our project; what if they submit separate applications? If WRI receives multiple applications for the same project, the respective teams will be asked to combine their applications. We recommend contacting all project stakeholders before submitting your WRI Ross Prize application. If there are multiple stakeholders associated with our project, how do we share the prize money if we win? Applicants are responsible for identifying a lead organization to receive the initial disbursement of funds, providing a distribution schedule that all organizations in the application agree with, and certifying that there are no significant contributors to the project that have been left out of the project application or prize consortium. How many finalists will be chosen? Five finalists will be chosen. Is there one winner or multiple? There is one winner of the inaugural WRI Ross Prize for Cities. Can applications be saved and then continued? No, they cannot. We recommend drafting your answers offsite, referencing the Guide to Application document provided, and then copying and pasting responses into the application form. Can applications be submitted in languages other than English? Yes. The languages we currently support are Amharic, Bengali, French, Hindi, Mandarin, Portuguese, Spanish and Turkish. Can I edit my application once it has been submitted? Adjustments will be made on a case by case basis. Does the project need to address each of the three dimensions – economic, environmental and social – to be considered for the WRI Ross Prize? No, the project does not need to address each of the three dimensions of transformative urban projects to be considered. However, the strongest applicants will have aspects within each of the three. Can I share media (photo, video, etc.) with my application? Yes, we are interested in the way in which outcomes were achieved. If media enhances this explanation, there is a section of the application where applicants can upload up to five attachments (acceptable formats include: .gif .jpg .jpeg .png .txt .pdf .doc .docx .ppt .pptx .xls .xlsx), up to 8MB per attachment. There is also space to share links to videos, media and websites associated with your project. THE BIG IDEA: Interweaving green spaces and efficient transport networks creates a more livable and resilient urban area. LIFE-CHANGING IMPACT: Improved daily life for residents by providing greater access to green space and sustainable transportation while significantly boosting the economy. RIPPLE EFFECT: Catalyzed further investments and initiatives, including the city’s first Sustainable Urban Mobility Plan. Redefining the city in the eyes of residents and visitors, the extensive Eskisehir Urban Development Project created a network of natural infrastructure that has restored a highly polluted river and enhanced public green spaces on a grand scale while integrating seamlessly with a new electric tram network. Two decades ago, the Porsuk River served as a glorified dumping site for Eskisehir, a university city in the hills south of Istanbul. Industrial and residential waste had accumulated for years and the river was classified as one of the region’s most polluted bodies of water. Rapid population growth also caused a rise in cars and congestion in the urban center. The project led to a major revision of the city’s Transportation Master Plan in 2004 that added a new electric tram service. Further updates and extensions of the tram system were finished in 2014, connecting key services to prime green spaces, including the newly developed Sazova Science, Art, and Culture Park and Kentpark. The city’s Transportation Master Plan was expanded upon with a Sustainable Urban Mobility Plan in 2015. The Eskisehir Urban Development Project is among a pioneering class of ecological restorations in urban areas and a model for Turkish and global cities alike. 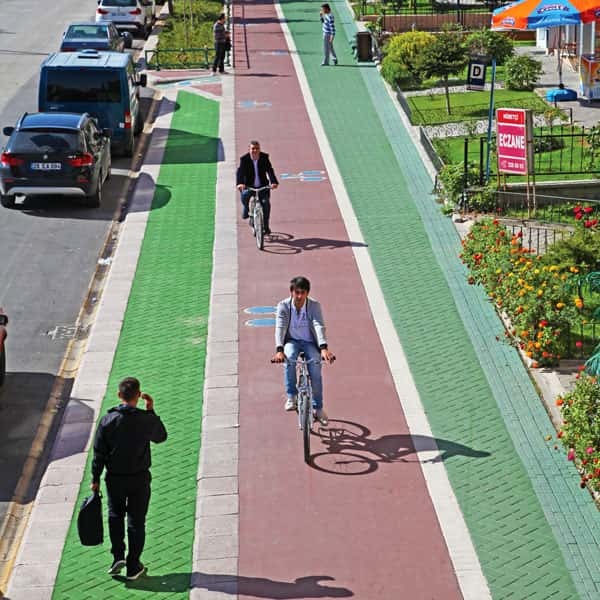 Combined with revisions to Eskisehir’s Transportation Master Plan, it is a declaration of the city’s dedication to sustainable urban development. The city took an innovative approach to create a more sustainable and livable place, moving past outdated conceptions of how nature must be kept separate from urban space. Here, nature is an asset and has helped achieve positive economic, social and environmental impacts. By the numbers: The restoration and establishment of parks along the Porsuk Rover, as well as the pedestrianization of its riverbanks, has led to a 215 percent increase in green space per city resident. Thirty-nine kilometers of electric tram lines move more than 130,000 people per day. The city saw a fivefold increase in tourism from 2011 to 2015. The project has also structurally impacted city policy as reflected in new building energy efficiency codes and a new Sustainable Urban Mobility Plan, which affect how all residents and visitors experience the city. Photo Credits: Used with permission courtesy of the Eskisehir Metropolitan Municipality. THE BIG IDEA: Connect geographically isolated, marginalized communities with the city center via innovative aerial transit that redefines residents’ conception of the city’s borders. LIFE-CHANGING IMPACT: Reduced crime rates, cut daily travel by two-thirds, dropped the costs of commuting and attracted new businesses and investments. RIPPLE EFFECT: Provided a powerful symbol of inclusion and integration of marginalized populations into a modern city and served as a model for other Latin American cities. As Medellín has grown out along the sides of the Aburra Valley, its poorer neighborhoods have become more disconnected, separated not only topographically but socially and economically. To knit the city closer together, Medellín created the world’s first aerial cable car lines fully integrated into a public transport system, establishing a powerful physical and symbolic link between hillside neighborhoods and the city center. Medellín’s hillside “comunas” are among the poorest of the city’s many dense neighborhoods. The higher up the valley, the more informal the buildings become. Communities have been built with little planning and even less integration with basic city services, like water, sanitation, education and transport. Here, among the stacked-up homes and shacks, exclusion is an effect of geography. While two metro lines have serviced the city center since the 1990s, residents of the hillside comunas were left to walk or wait for the bus to make the trip downtown. Residents often experienced commute times of more than 90 minutes and had to pay multiple entrance fees across different modes of transport. In 2004, the city’s transit operator, Metro de Medellín, came up with an innovative solution: the world’s first aerial cable-cable car system to be fully integrated into public transport. Connecting to metro, bus, and bike stations, the first line of Metrocable, Line K, soared above congested and dangerous streets, immediately cutting commute times by as much as 60 minutes and eliminating double charging by feeding directly into the existing transit system. The municipal government saw the positive impacts of the first Metrocable line and began developing a second line, supporting three-quarters of the financial burden. The city also developed a third line to the popular tourist destination, Arvi Park, to generate revenue for the municipality. Two more lines are under construction today. Beyond bridging the physical separation of the poorest comunas, Metrocable has helped combat social isolation and stigmatization. Through the city’s formal metro system, hillside residents have access to more opportunity, and each Metrocable station has become a magnet for investment and commerce. Land values around Line K increased some 50 percent and more than three dozen new businesses were created in just the first three months of operation. Homicide rates have been declining across the city, but areas in the Line K corridor saw even greater declines, as well measurable increases in trust in the justice system and social cohesion. Hiring local workers and consulting with community members brought prosperity and built civic pride. Metrocable is indicative of a larger shift in the mindset of the city government. Following the path paved by Metrocable, successive mayors have launched additional public investment into hillside slums, including adding libraries, parks and schools. By the numbers: Line K is estimated to benefit 150,000 people directly, with 350,000 indirect beneficiaries. Real estate values along the corridor increased 50 percent in some areas. Homicide rates fell from 188 per 100,000 residents in 2003 to 30 per 100,000 residents in 2008. Line J is estimated to have directly benefited 120,000 people. By replacing diesel-fueled buses, Metrocable is estimated to avoid the use of more than 1.7 million gallons of diesel fuel each year. Aerial cable cars have since been integrated into urban transport systems in other cities, including Bogotá, Santo Domingo and Rio de Janeiro. THE BIG IDEA: Roadside infrastructure interventions create safer trips to school for children in high-risk areas of African megacities. LIFE-CHANGING IMPACT: Low-cost and simple changes measurably reduce road traffic injury and death rates for students. RIPPLE EFFECT: Demonstrated to governments in more than a dozen countries that lifesaving infrastructure improvements around high-risk schools are effective, popular and affordable. Amend’s School Area Road Safety Assessments and Improvements (SARSAI) program is driving a shift to child-centric urban design to protect one of the most at-risk groups of pedestrians in the world: children going to and from school in Africa. Starting small, but growing quickly thanks to a simple and effective approach, this street redesign and behavior change project has had an outsized impact that will affect generations to come. A child in sub-Saharan Africa is twice as likely to die in a road crash as a child in any other region of the world. With just 2 percent of the vehicles, the region accounts for 16 percent of the world’s road deaths, or more than 200,000 people a year. That number will increase as the region urbanizes at a furious pace. The nonprofit Amend has stepped up to the challenge of reversing this rising tide. In sub-Saharan Africa, the vast majority of children walk to school, often over long distances and on roads with little provision for pedestrians. By focusing on the children’s routes to school, SARSAI has reduced injury rates by as much as 26 percent. Starting with a two-school pilot project in Dar es Salaam, Tanzania, Amend has developed a simple, data-driven approach that they have replicated in more than 50 school areas in nine countries across sub-Saharan Africa. Governments and other nonprofits that Amend has trained on SARSAI are currently implementing the program at another 10 school areas in two additional countries. SARSAI interventions follow a basic methodology: partner with local government, identify the schools with the highest rates of injury and death, implement safety infrastructure around those schools, and work with the students themselves to teach safer behavior, like how to cross the street. The approach is simple – separate children from traffic and lower vehicle speeds – but SARSAI stands alone in the scale of its impact on children’s road safety in the region. Perhaps most impressive is the quick timeframe and low cost of each implementation. Within a few months of arriving in a city, Amend is typically able to install basic infrastructure such as zebra stripes, signs, bollards, sidewalks, speed humps and moving school gates. The upfront cost for a school area assessment plus the implementation of new infrastructure is $20,000 on average. To date, SARSAI has had the greatest impact in Dar es Salaam, where it has worked in 30 high-risk school areas. Prior to SARSAI, an average of a dozen students per school were injured or killed each year in a road accident; now rates have dropped to fewer than eight students per school and injuries that do occur are less severe because of lower speeds. SARSAI’s impact goes beyond the numbers, helping children understand that their safety, mobility and freedom in the city matters via a tailored road safety education program that is delivered at every school. Beyond their immediate efforts to save lives, Amend also has longer-term policy goals. 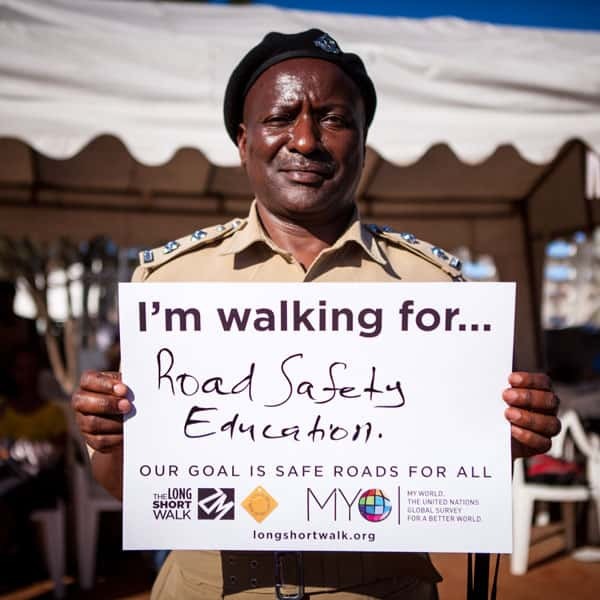 In partnership with governments and other nonprofits, they have worked to raise the profile of road safety in cities across sub-Saharan Africa. These efforts have helped establish a Pedestrian Action Plan in Accra, Ghana; influenced World Bank lending agreements; led to an official partnership with the city of Lusaka, Zambia; and led to a legal reduction in speed limits around all schools in Windhoek, Namibia. Further, in partnership with UNICEF and the FIA Foundation, Amend has given workshops on SARSAI in Jamaica and Morocco. By the numbers: The SARSAI program has proven highly replicable, growing from an initial grant of $100,000 in one city to directly benefiting 70,000 primary school students in more than 50 high-risk school areas across nine countries since 2014. A study conducted with the U.S. Centers for Disease Control and Prevention found SARSAI results in a 26 percent reduction in injuries among children, on average, and a reduction in the severity of injuries that do occur. Speeds in school areas were reduced by up to 60 percent. SARSAI has also demonstrated wider policy impact through work with city and national governments, development banks and other non-profits. Photo Credits: Edward Echwalu and Sala Lewis with permission courtesy of Amend. THE BIG IDEA: Efficiently bridge a municipal service delivery gap by formalizing some of Pune’s most vulnerable workers. LIFE-CHANGING IMPACT: Door-to-door waste collection extended to two-thirds of the city, including informal settlements that previously had none. RIPPLE EFFECT: A model for organizing waste collection and formalizing informal workers in fast-growing cities that has inspired replication and national legislation. 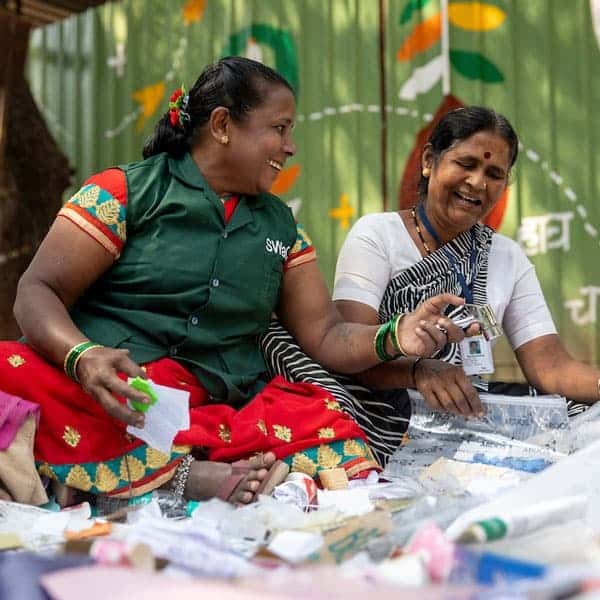 Against the backdrop of overflowing landfills, India's first worker-owned waste-pickers cooperative provides doorstep collection of segregated waste and waste processing services that is both expanding coverage and improving the lives of workers. By organizing workers and negotiating with the city, SWaCH is helping to improve service for little cost while increasing reuse and recycling. Waste pickers are among the most marginalized of all urban residents, culling through landfills and trash heaps for recyclables and re-usable items. Most operate under informal status, a condition common to more than 80 percent of India’s workforce that makes their livelihoods precarious, their earnings erratic, and their visibility among decision-makers nearly non-existent. In Pune, however, a cooperative of more than 3,000 waste pickers is helping to change this paradigm. By providing waste collection services through a formal contract with the city and providing benefits to members and better service to residents, SWaCH Pune Seva Sahakari Sanstha has helped Pune’s waste pickers go from outcasts to valuable service providers. SWaCH is owned and operated by its members, most of whom are women and Dalits, formerly known as “untouchables.” A representative council makes decisions about collective bargaining, ensures members have access to basic safety equipment, provides benefits and workspaces, acquires licenses, and negotiates with the Pune Municipal Corporation. User fees are collected directly by members, providing transparency on pricing and allowing for better worker conditions. SWaCH members report more disposable income and more time for family, education and leisure. At the same time, SWaCH’s decentralized service delivery model encourages better sorting, more comprehensive collection and greater service coverage. Members not only collect waste from relatively wealthy households but have extended services to an estimated 450,000 slumdwellers – residents whom more traditional service provision schemes often ignore. SWaCH is a leading example of how to integrate informal workers into a modern hybrid economy and how to expand core services in ways that can keep up with rapid growth – two challenges that are key to the future of cities. By the numbers: More than 3,100 members provide door-to-door waste collection services to more than 2.3 million residents in the greater Pune urban area, including more than 450,000 slum residents. Members collect more than Rs. 483.6 million (more than $6.8 million) in user fees each year and recycle more than 50 million kilograms of waste, cutting greenhouse gas emissions equivalent to taking 32,000 passenger vehicles off the road. SWaCH’s success led to the city of Bangalore adopting a similar approach to municipal waste collection and inspired the passage of national legislation that provides broad direction for the identification and integration of informal waste pickers into cities. THE BIG IDEA: Change the symbolic and physical blueprint of Durban through the co-creation of public space by formal and informal institutions. LIFE-CHANGING IMPACT: Improved the livelihoods and capacities of informal vendors and increased access to affordable goods while creating a city that is more culturally responsive to its residents. RIPPLE EFFECT: Influenced other cities where informal markets and public spaces are a backbone of local commerce to find an inclusive path to a modern hybrid economy. 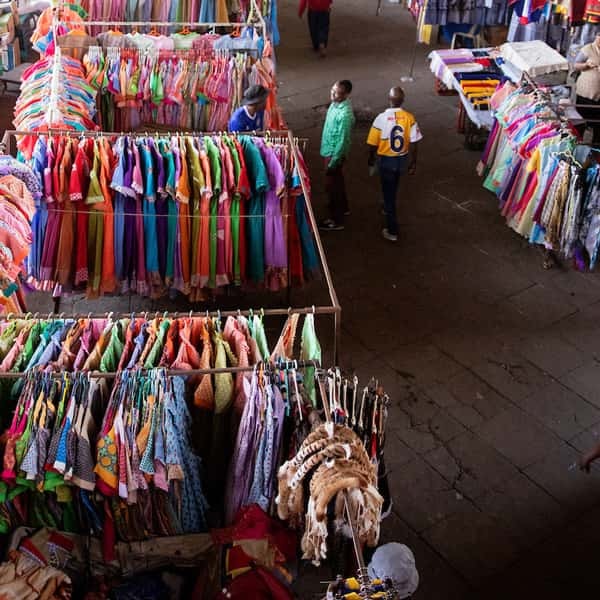 Facing pressures to privatize, commercialize and securitize urban public space, Asiye eTafuleni helped informal vendors become active participants in the design of one of Durban’s most vibrant market areas. Together with the city, they forged a new path that preserved and incorporated the area, creating a more inclusive city. Every day nearly half a million people flow through Warwick Junction, an extensive area bounded by three major roadways and a train station in South Africa’s third most populous city. In the midst of this transport hub is also the largest series of outdoor markets in the city. Vendors sell food and goods at nine historic marketplaces nestled under elevated expressways and alongside train tracks. Between 6,000 and 8,000 of these vendors are informal workers. Informal workers are the backbone of many cities. By some accounts they represent 50 to 80 percent of urban employment globally, and yet they are largely excluded from public space and public policy – essentially invisible. Over 10 years, Asiye eTafuleni (AeT) has helped change this in Durban by empowering informal workers to take part in municipal decision-making processes. Formerly the backdoor to the city under apartheid, as the black entrance to an all-white city, Warwick Junction is becoming the new gateway to a more inclusive city. AeT’s engagement began by supporting a campaign to prevent a fresh produce market from being torn down and turned into a shopping mall in 2007 and has spread across other spaces in the market area since. Through collaborative design, training and advocacy, AeT works to shape the market and its people. The Kanyenathi Project equips informal workers with the skills to lead design conversations themselves. A partnership with South Africa’s Legal Resources Center provides in-house legal expertise and has improved legal literacy among informal workers, giving them the skills and knowledge to successfully engage in negotiations with the municipality. When the city proposed a new design for the Bovine Head Market, cooks asked AeT to help advocate for a different plan that better reflects their needs. The redesign was accepted and a new facility with much safer and cleaner drainage and greatly improved sanitation and environmental standards is under construction. Recycling schemes have become a means by which informal workers can earn a living and clean up the city. By providing training and trolleys, streamlining the selling process and negotiating higher seller prices, AeT has streamlined informal recycling processes and helped Durban achieve the highest cardboard salvage rate in South Africa. Meanwhile, by partnering with various international agencies, philanthropies and visiting university researchers, AeT simultaneously brings global expertise to bear on local challenges and spreads lessons learned outward. In helping Durban empower some of its most vulnerable residents, the Warwick Junction project is showing cities across the world a better way to give informal workers access to public space by supporting their negotiations with local government. In AeT’s own words: "Our design and advocacy efforts have contributed to the workers’ capacity, interest and confidence to engage with formal institutions, thus contributing to a more equitable (though not yet equal) power dynamic between the municipality and informal workers." By the numbers: Eight projects proposed by informal workers have been approved by the city of Durban to date. Efforts have directly affected 6,000-9,000 daily traders plus their families, people who sell to them, employees and customers, reaching perhaps as many as 120,000 additional people. The market receives approximately 450,000 daily visitors from a combination of commuters, tourists and shoppers. An estimated 30 tons of cardboard are recycled and sold every day in the inner city. The effort has led to a series of knowledge exchanges and consultations between Durban and other market projects in African cities, including in Isiphingo, Bester, Johannesburg, Cape Town and Port Elizabeth.